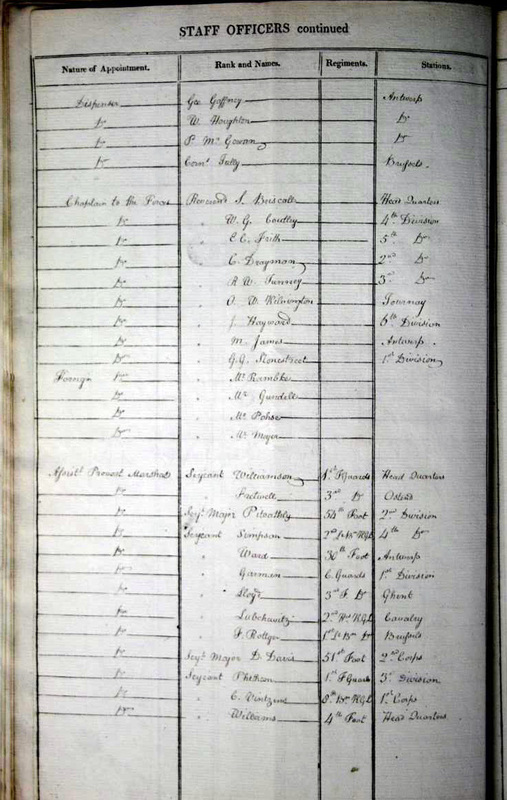 Every infantry battalion and cavalry regiment that was on active service was required to submit to the headquarters that it was assigned to a report on its strength. 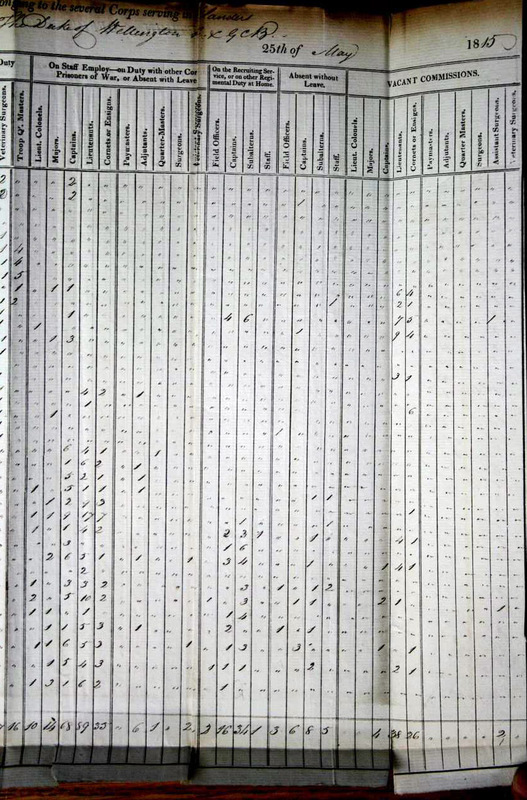 This included the numbers of officers and enlisted soldiers assigned to it by rank, how many were with the unit, how many were absent due to hospitalization, detached from the unit, on command, etc. 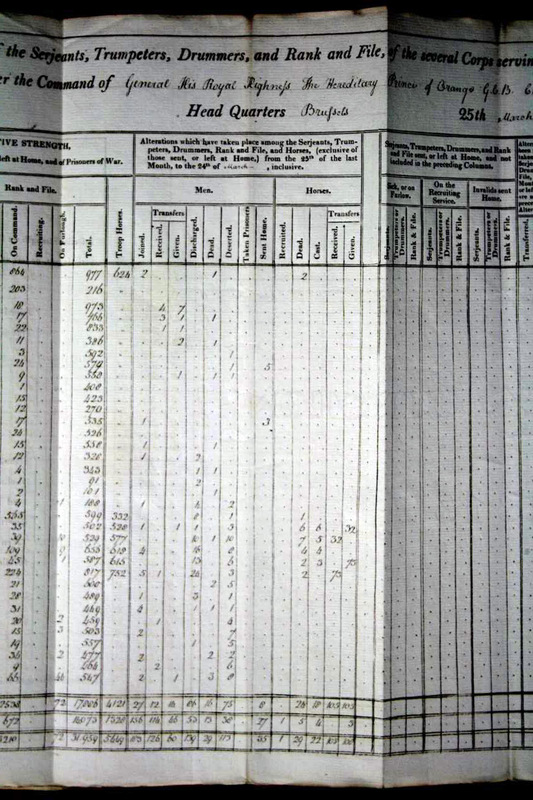 This reports were known as reuturns and were done on the 25th of each month. 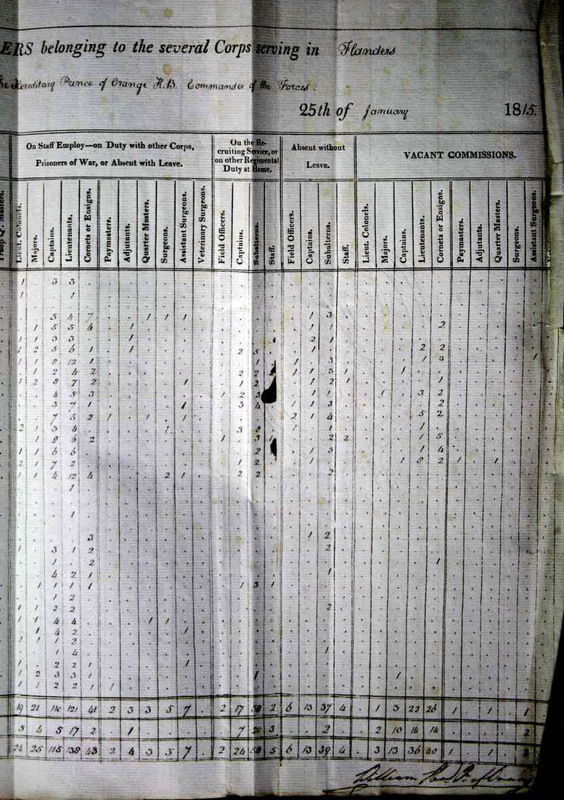 They provided the chain-of-command a snapshot of the number of officers and men the unit could field. 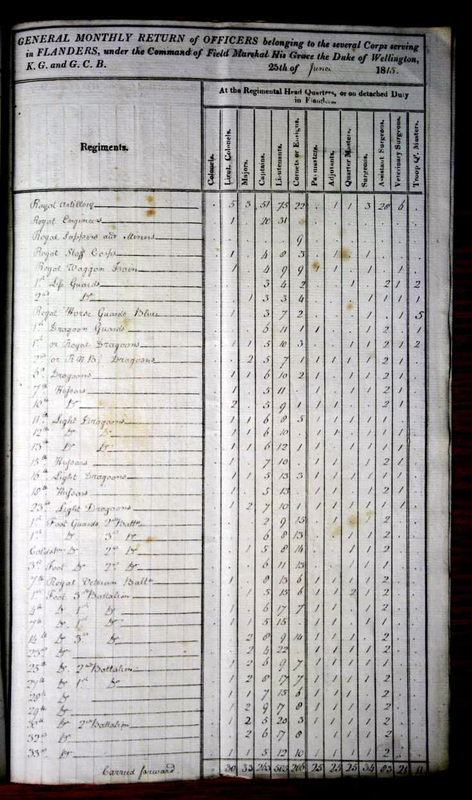 This number varied day-to-day, but it did give the brigade, division, and army commaners an idea of the strenth of each unit. 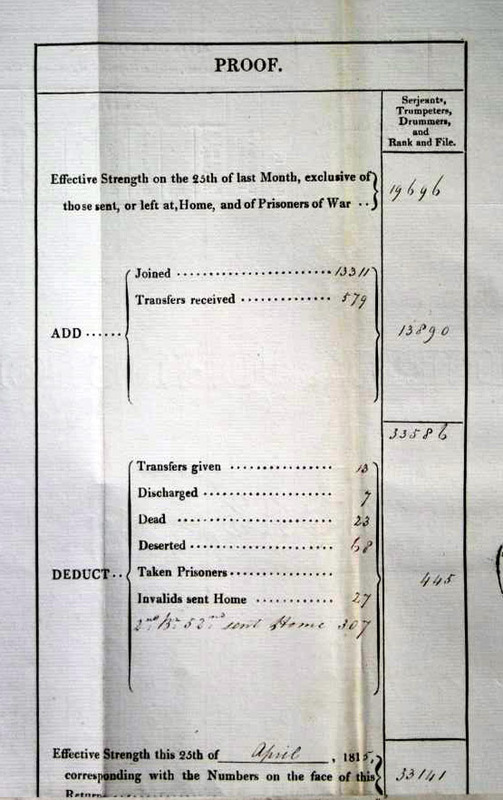 The returns also included the artillery. 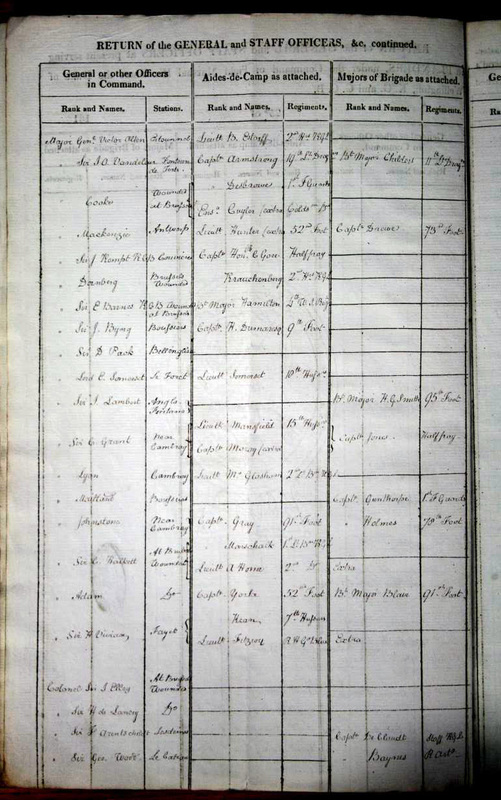 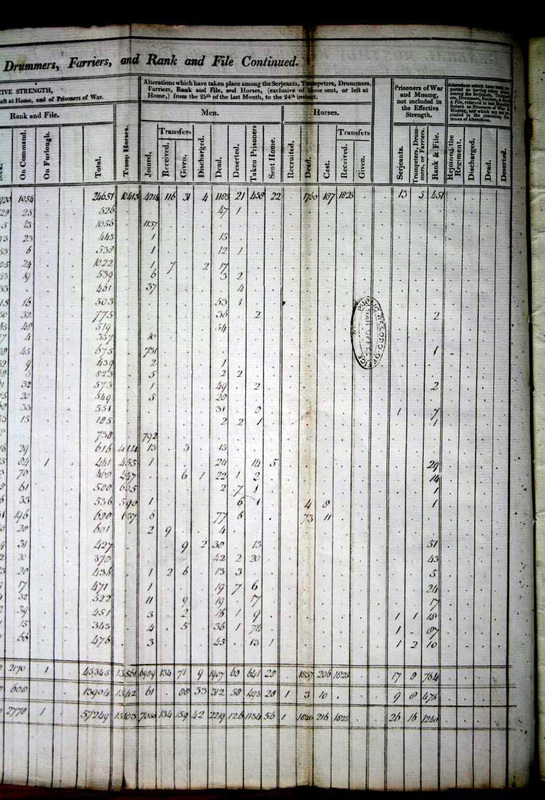 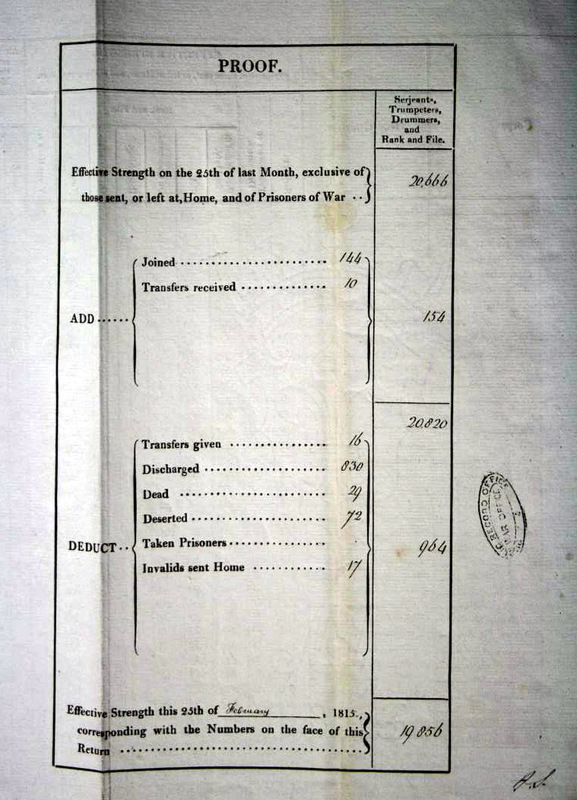 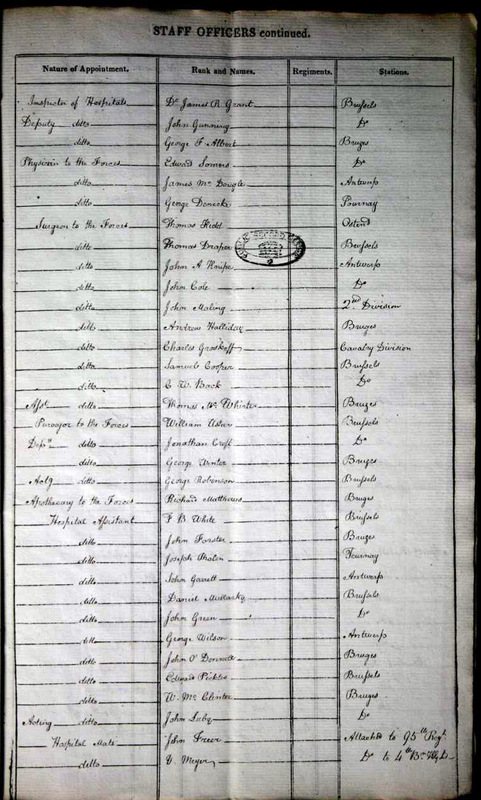 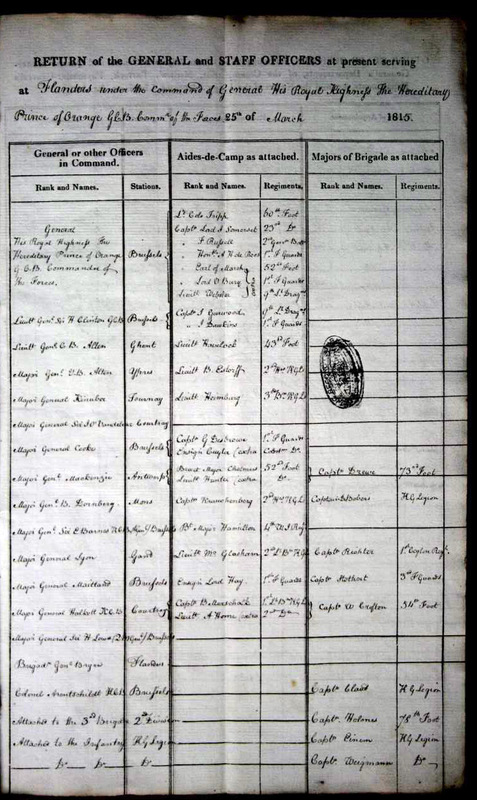 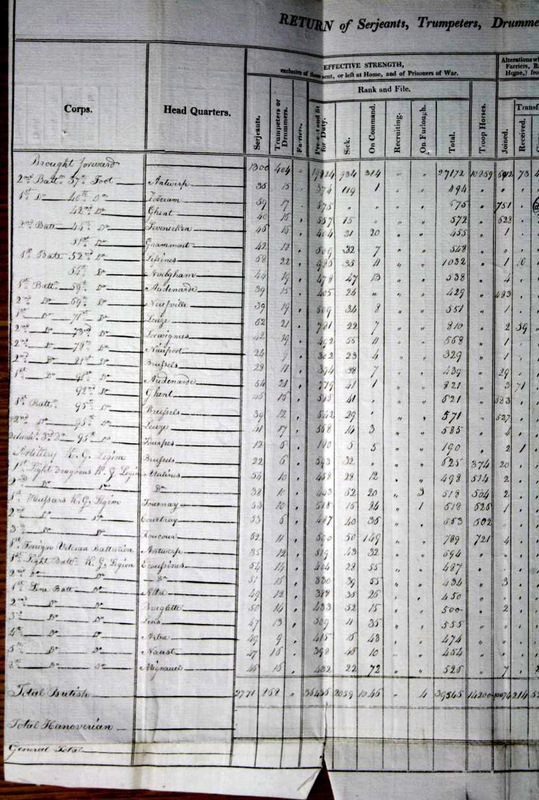 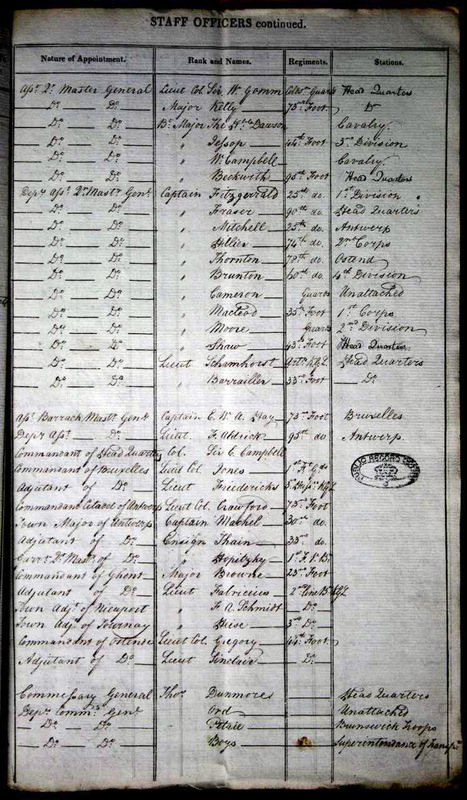 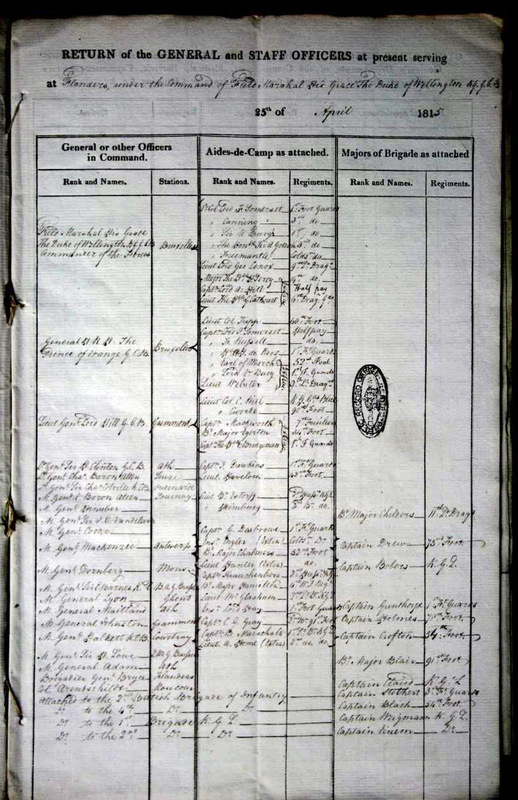 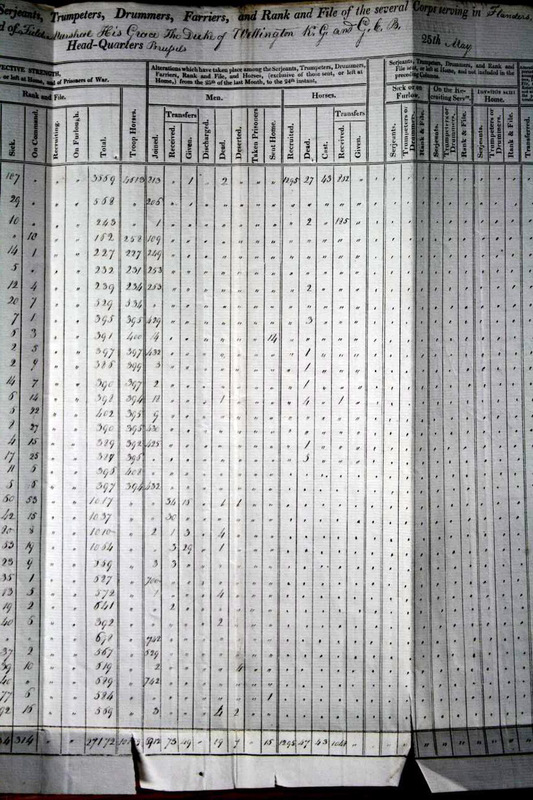 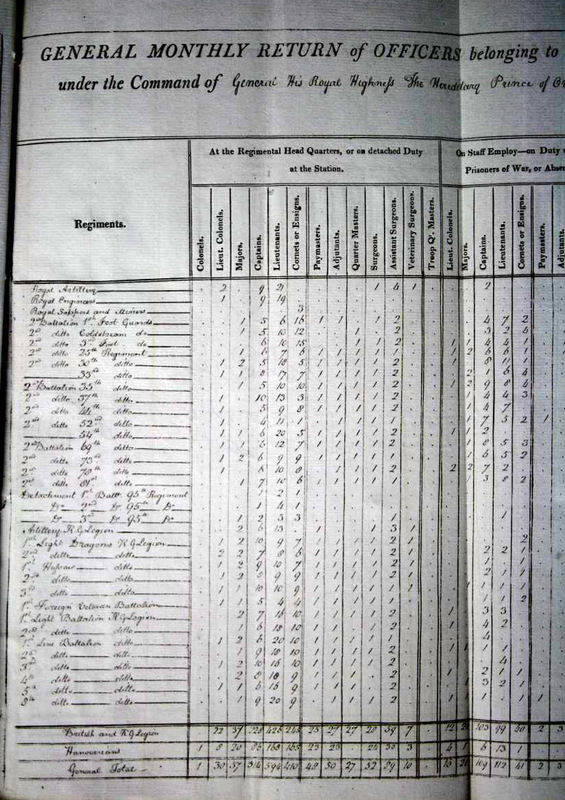 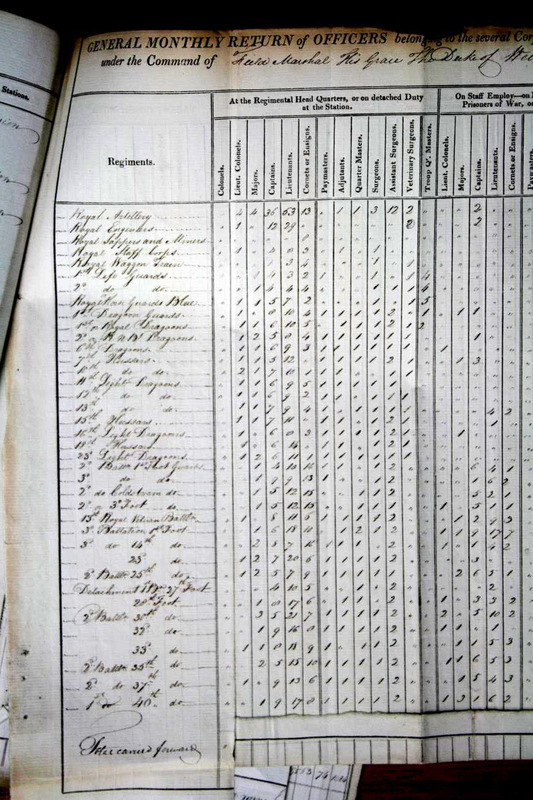 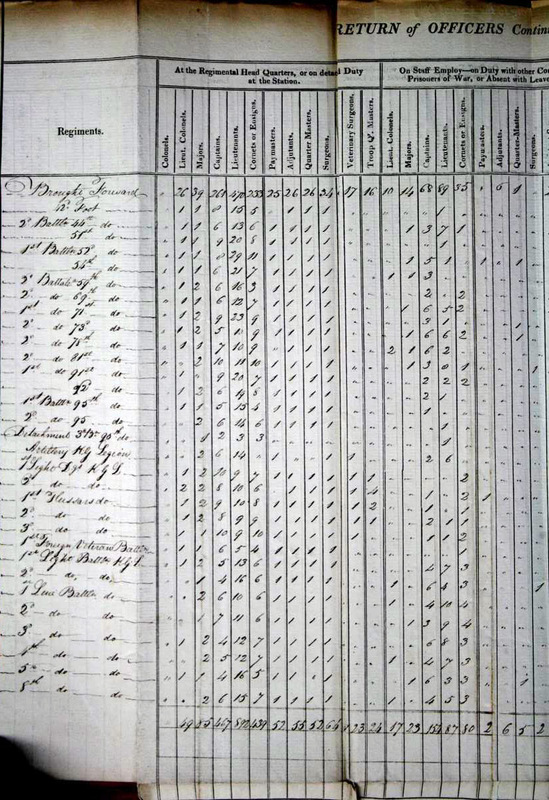 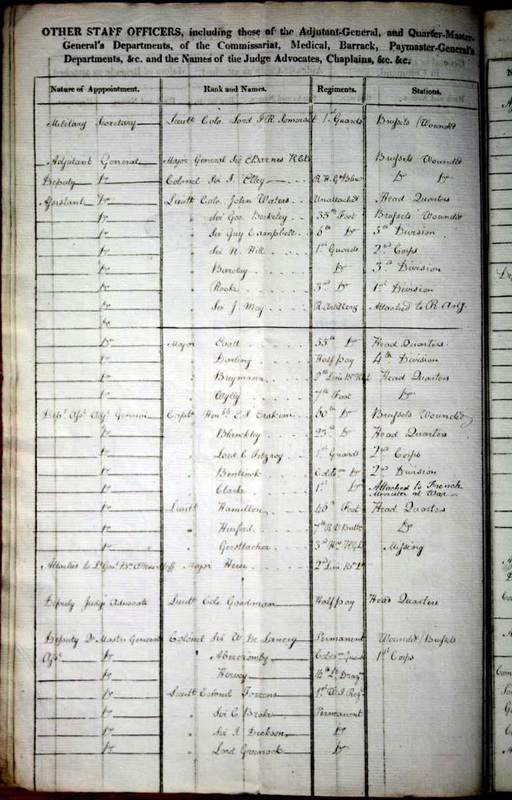 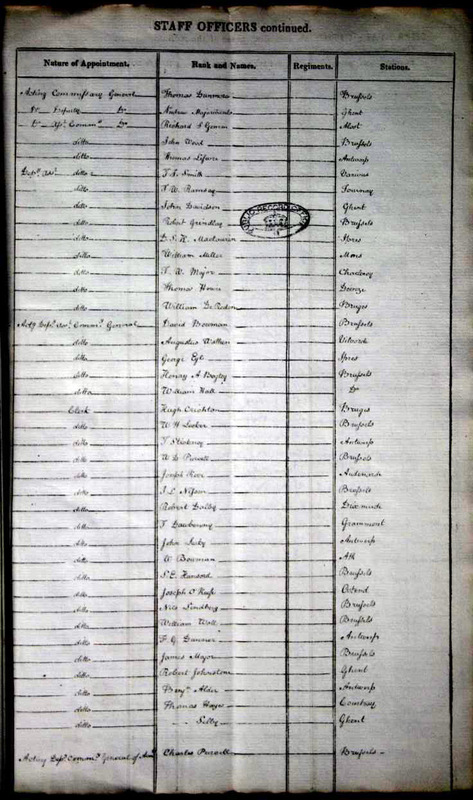 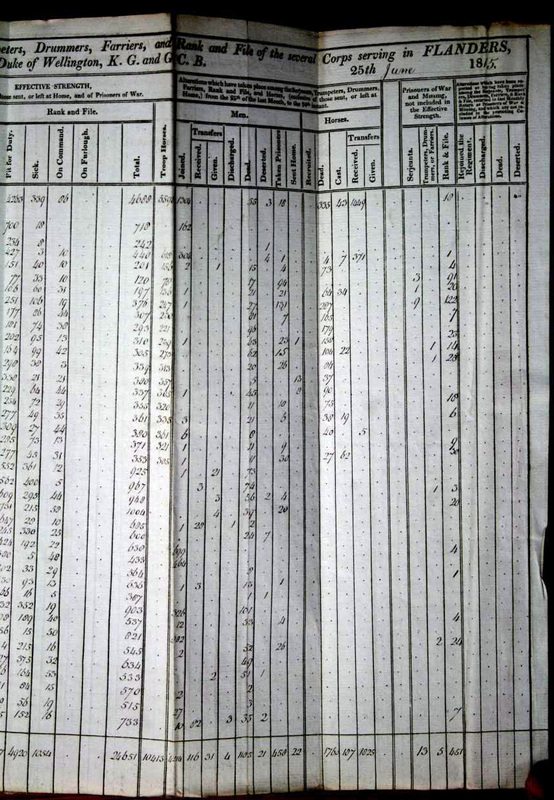 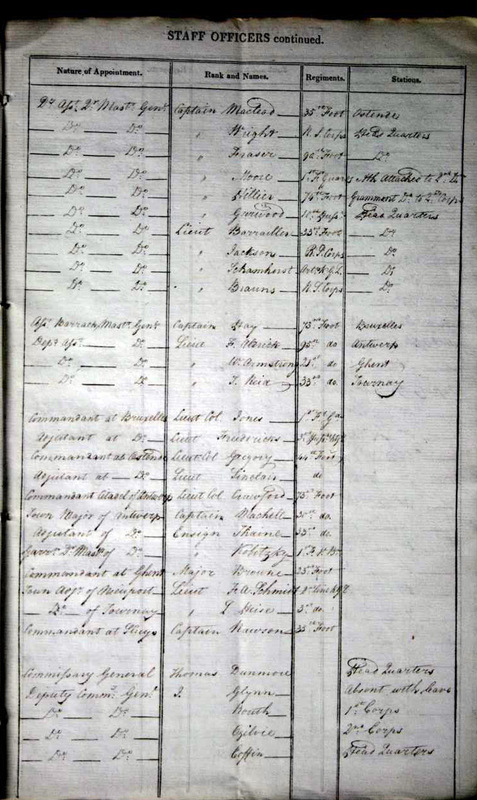 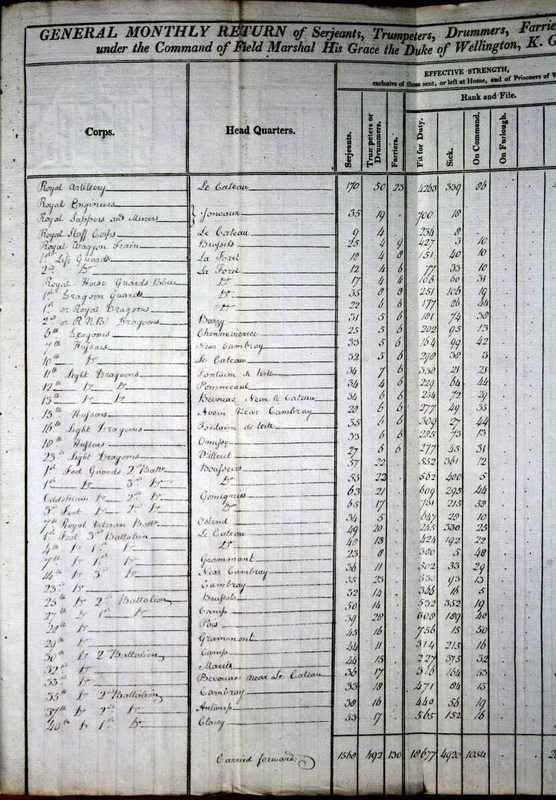 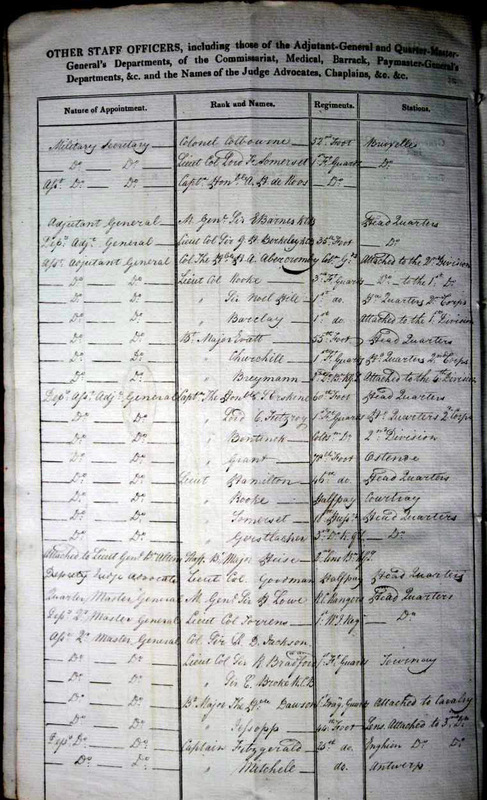 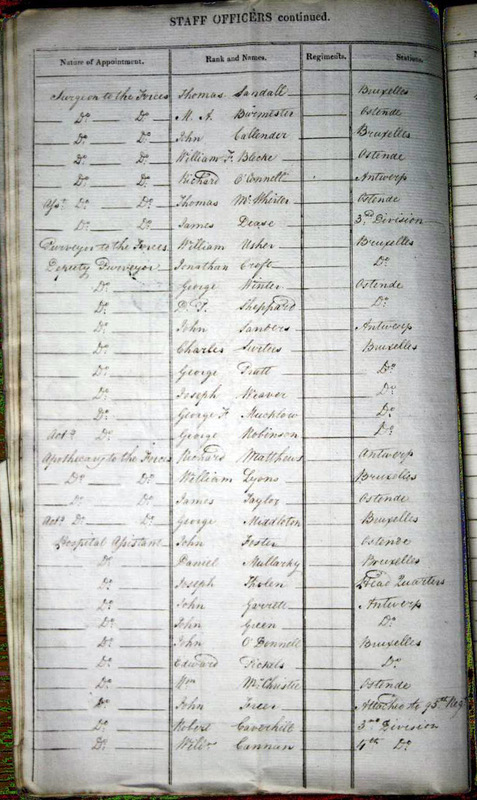 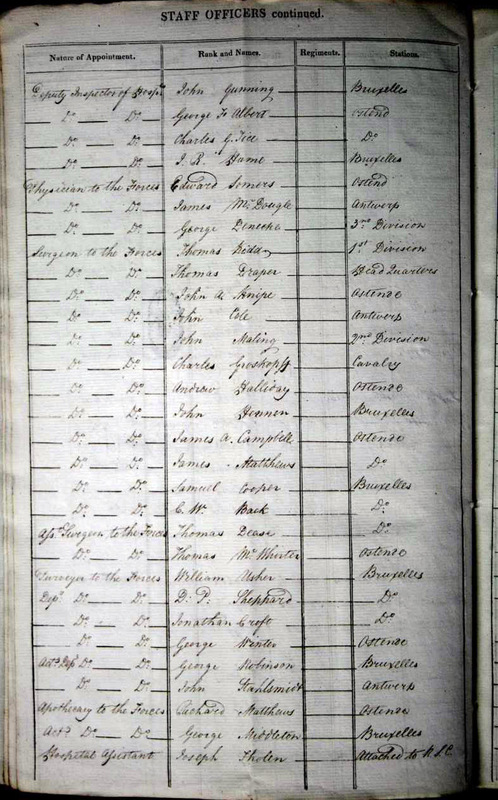 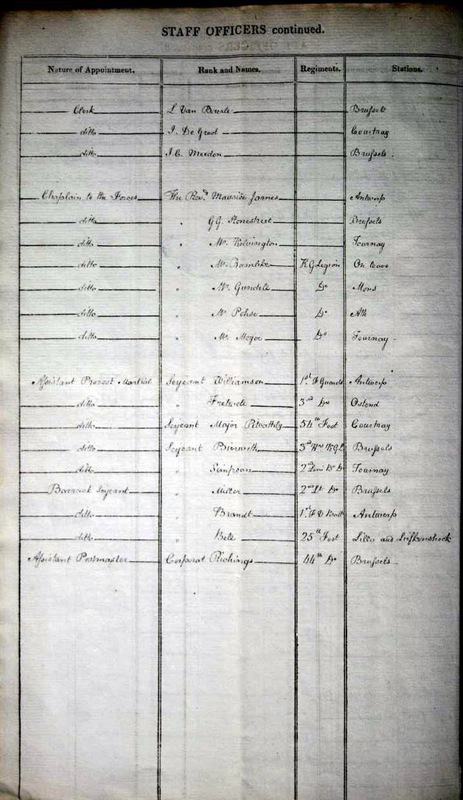 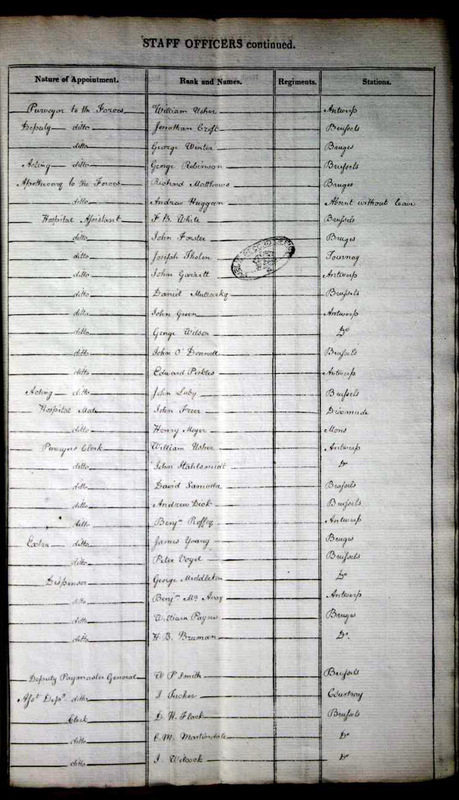 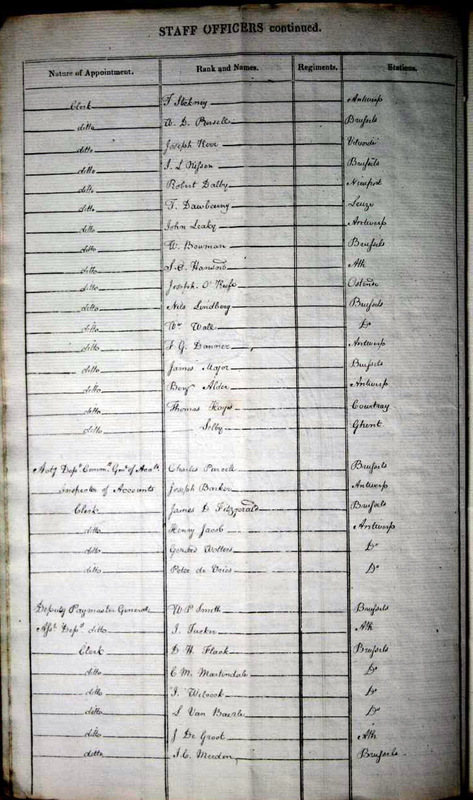 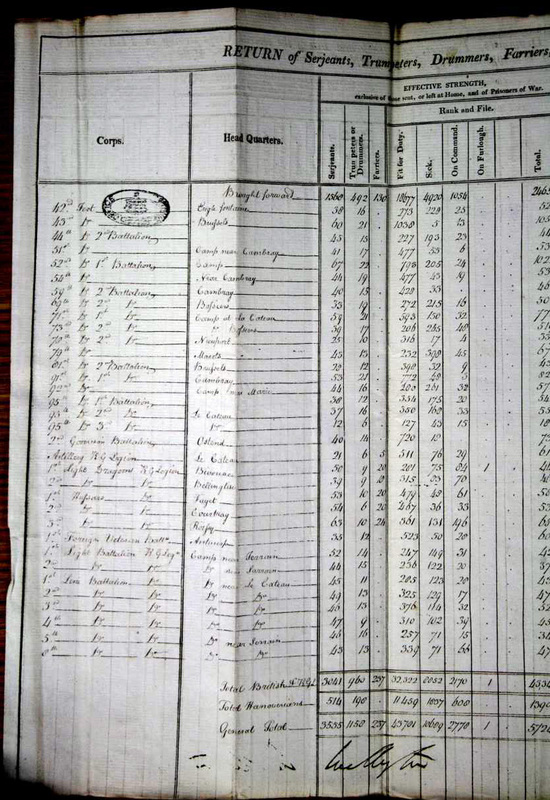 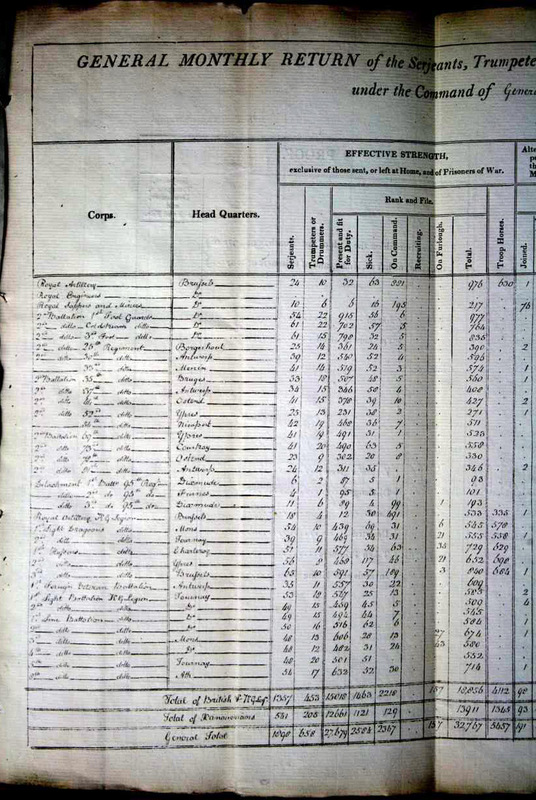 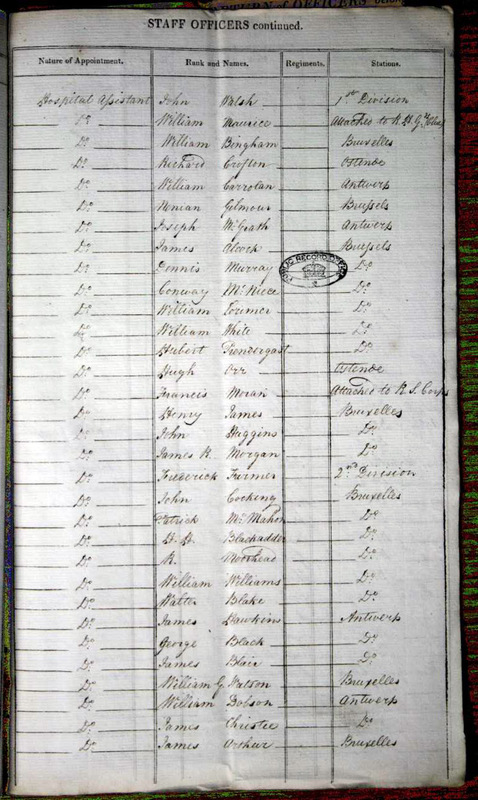 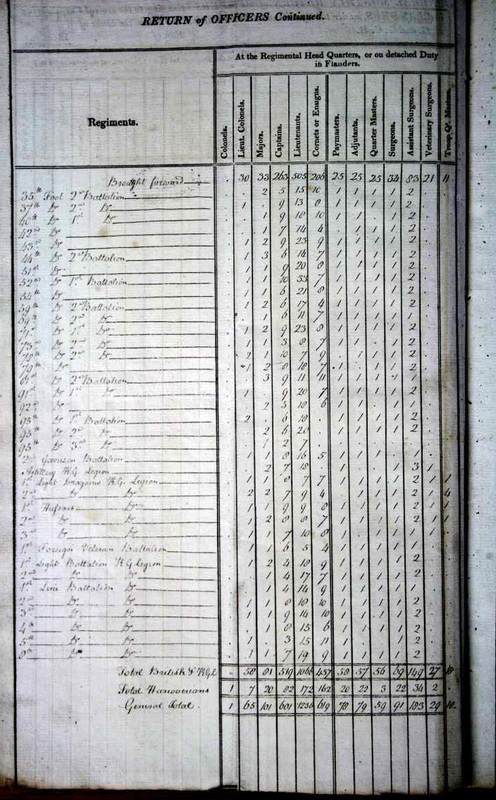 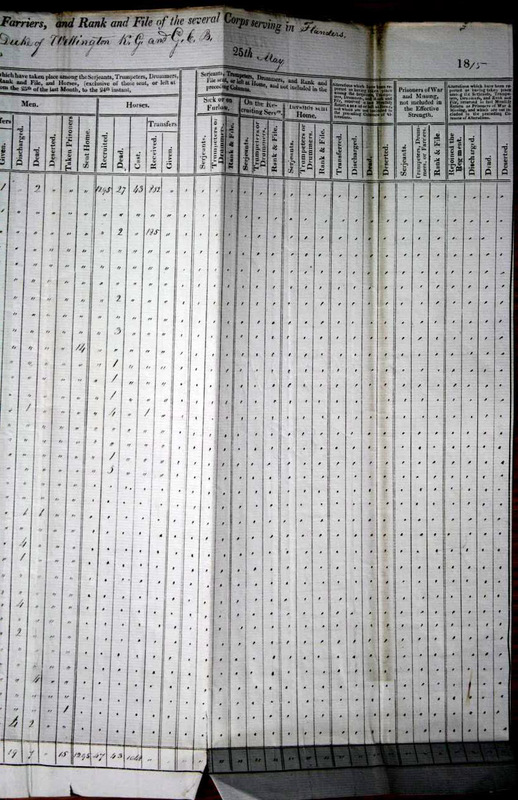 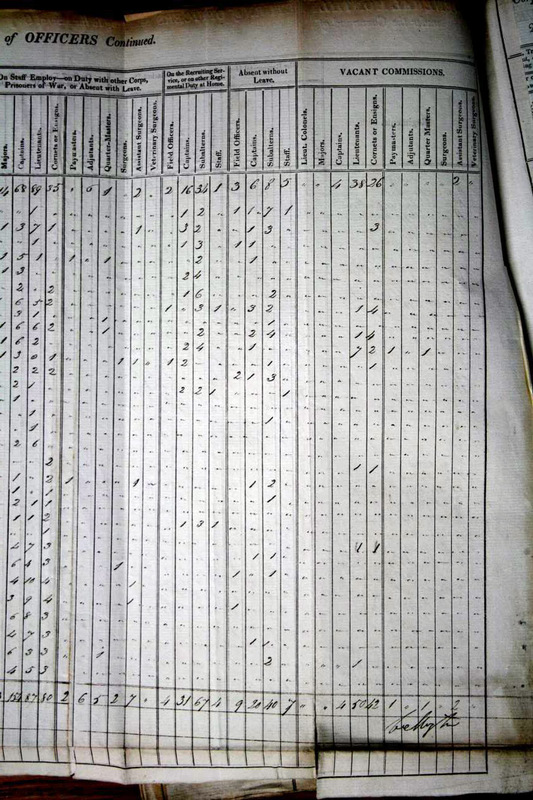 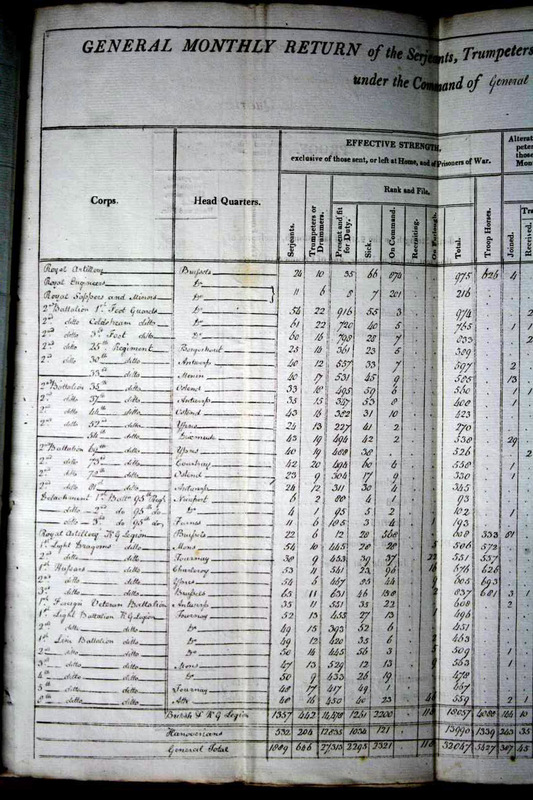 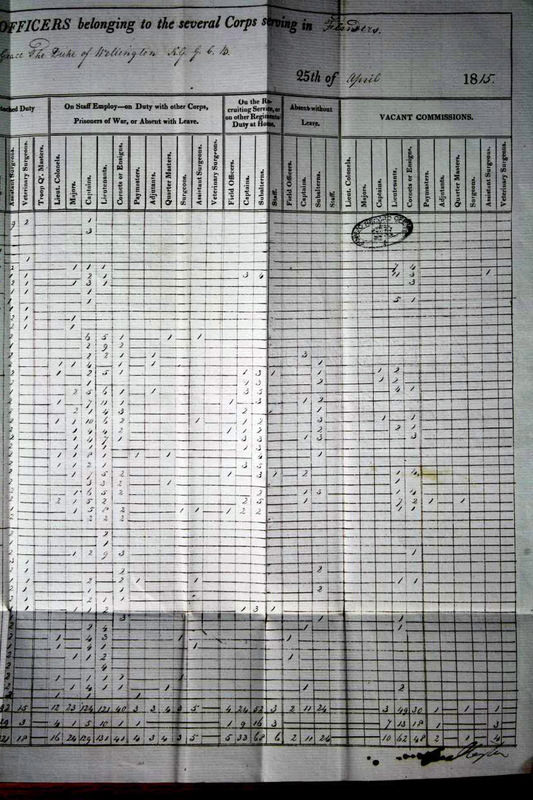 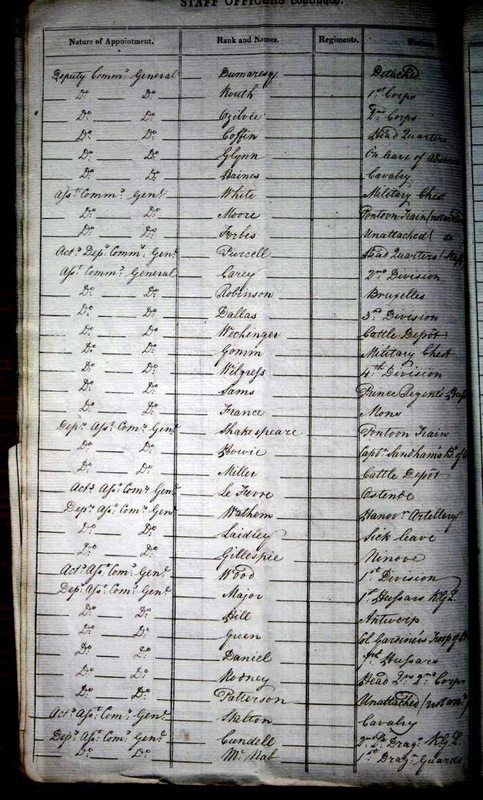 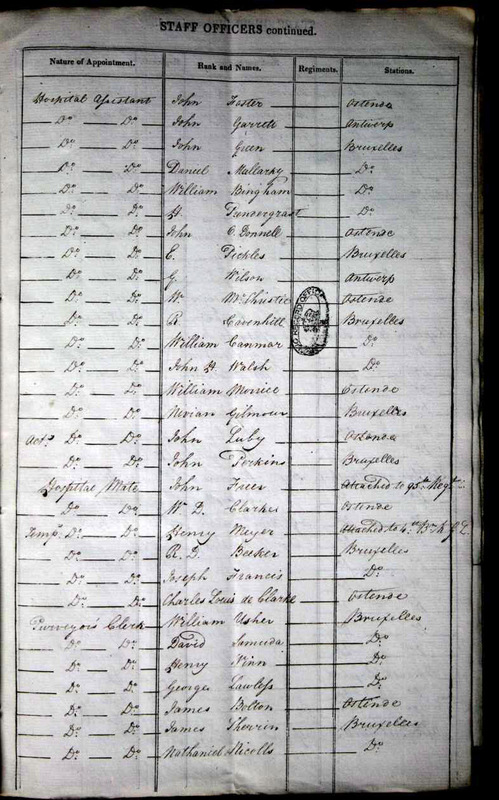 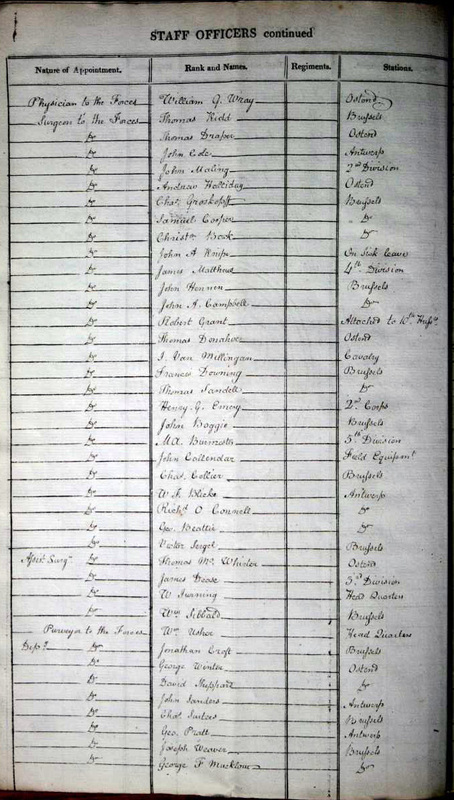 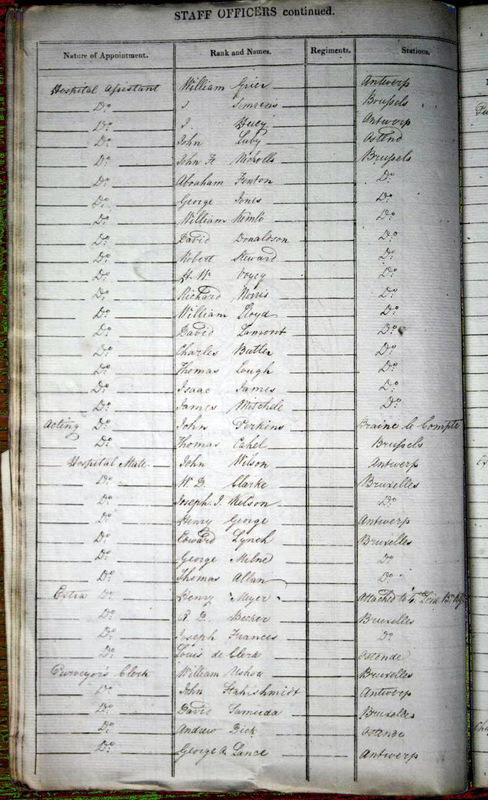 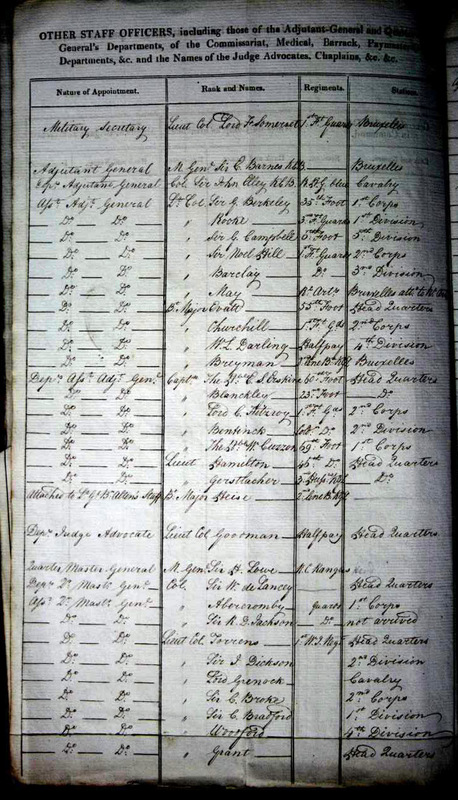 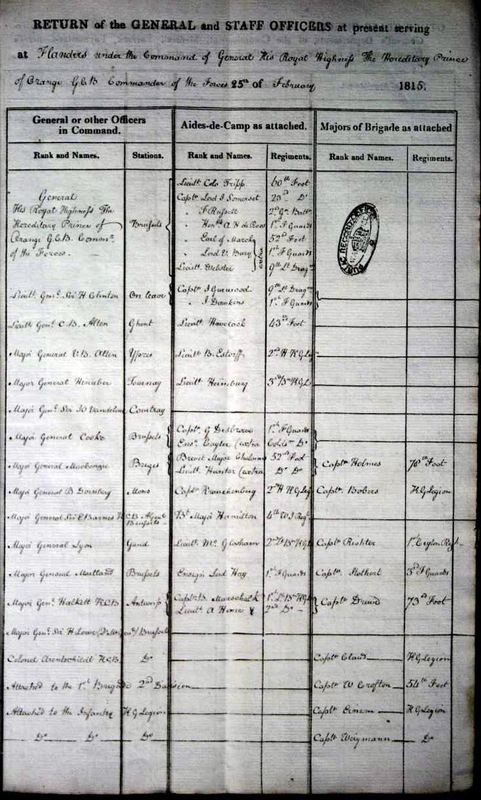 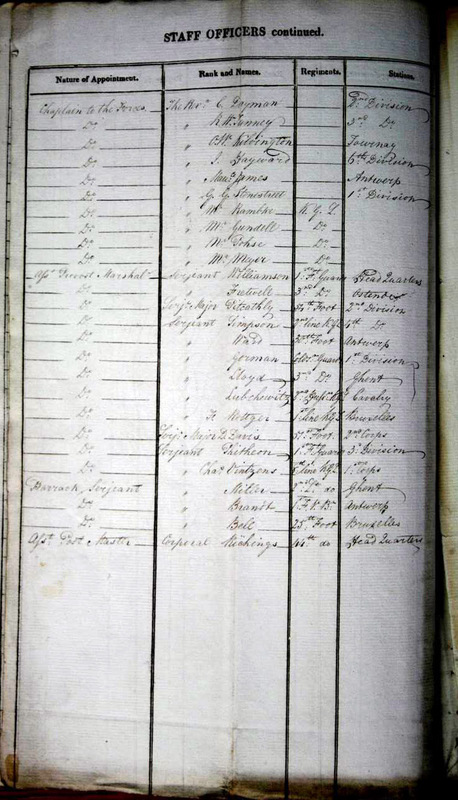 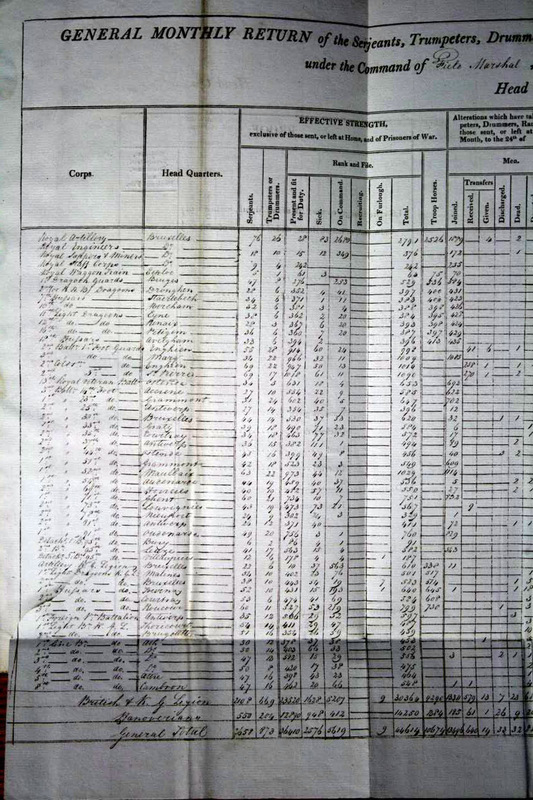 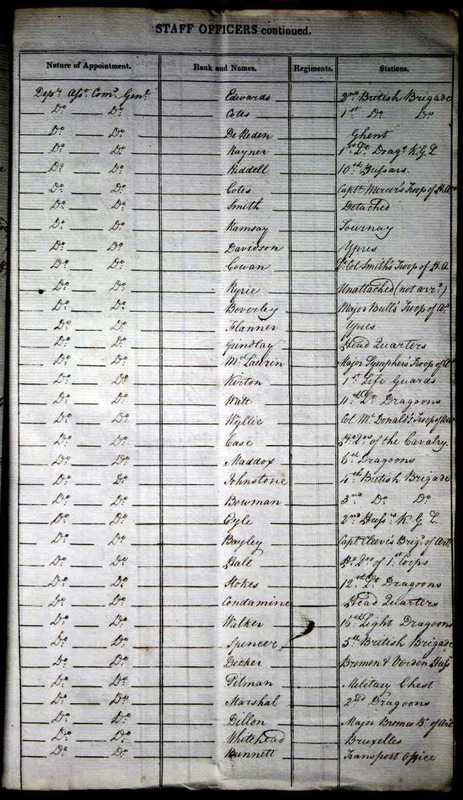 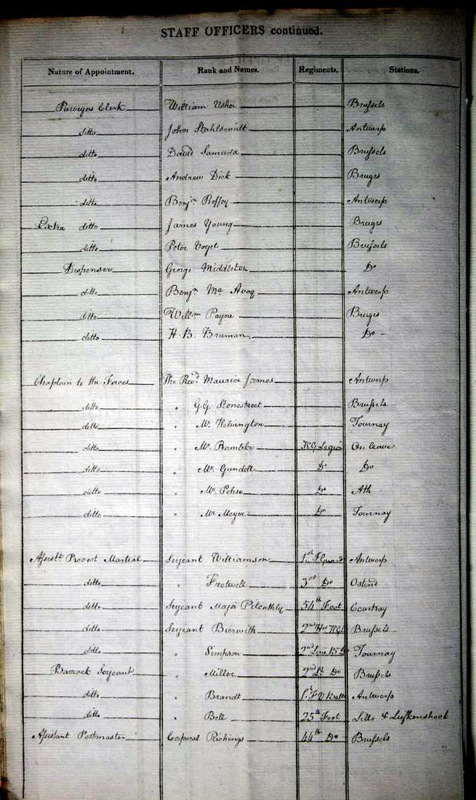 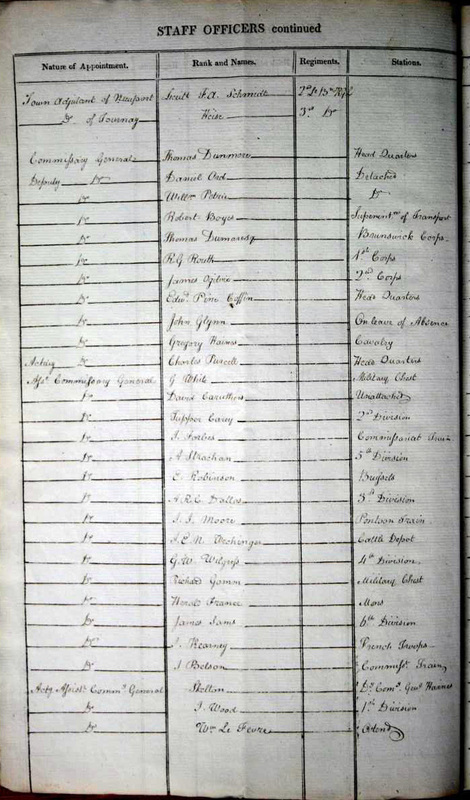 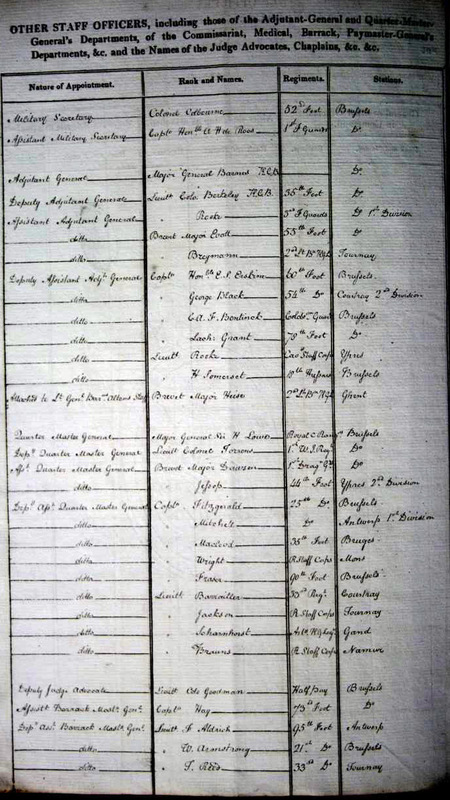 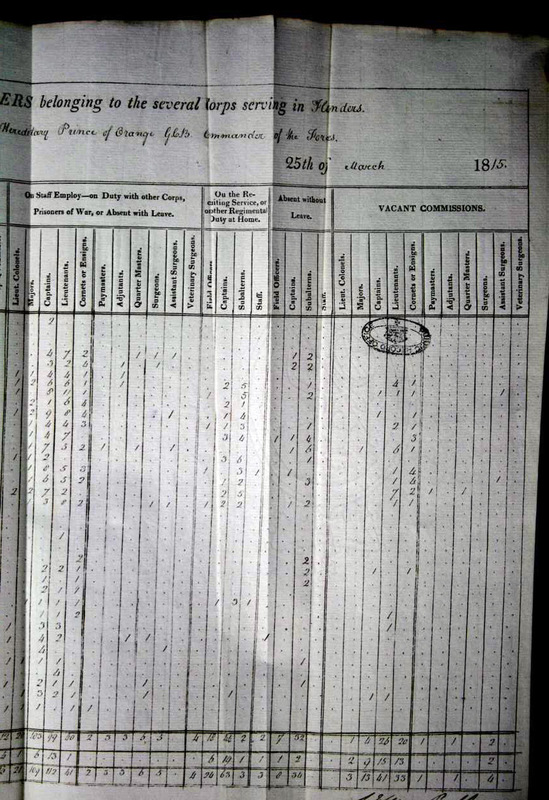 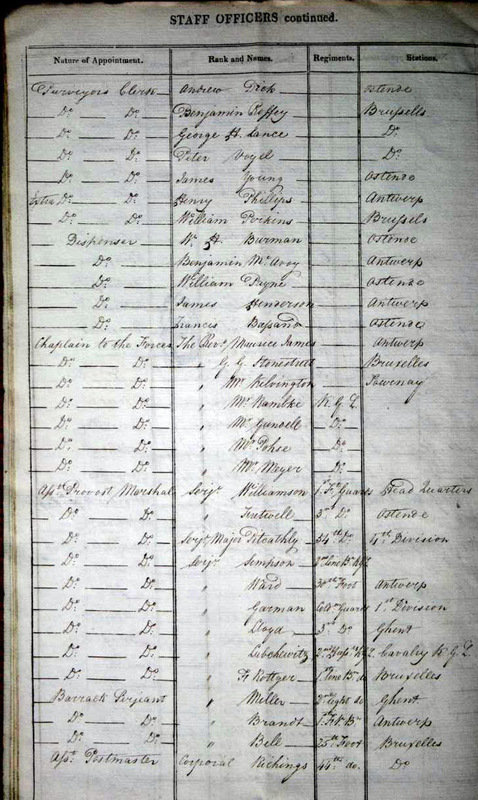 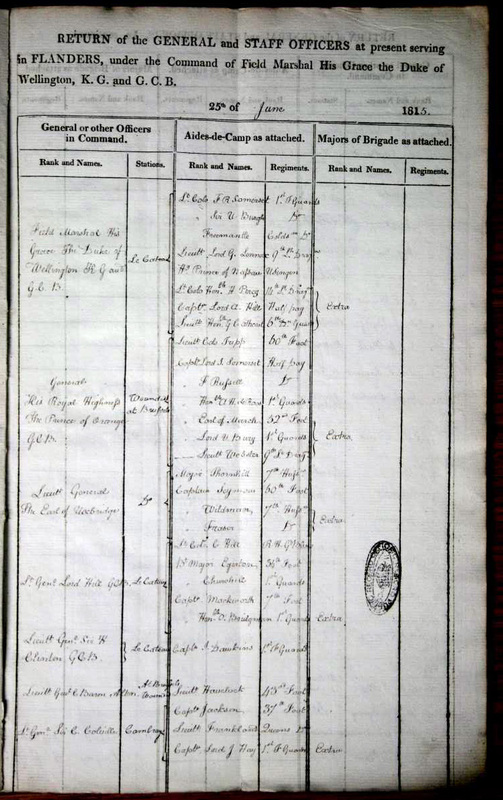 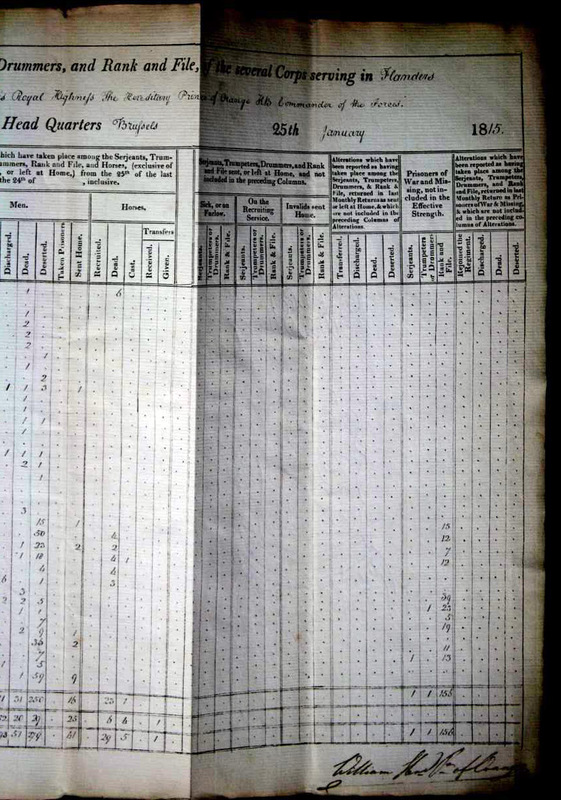 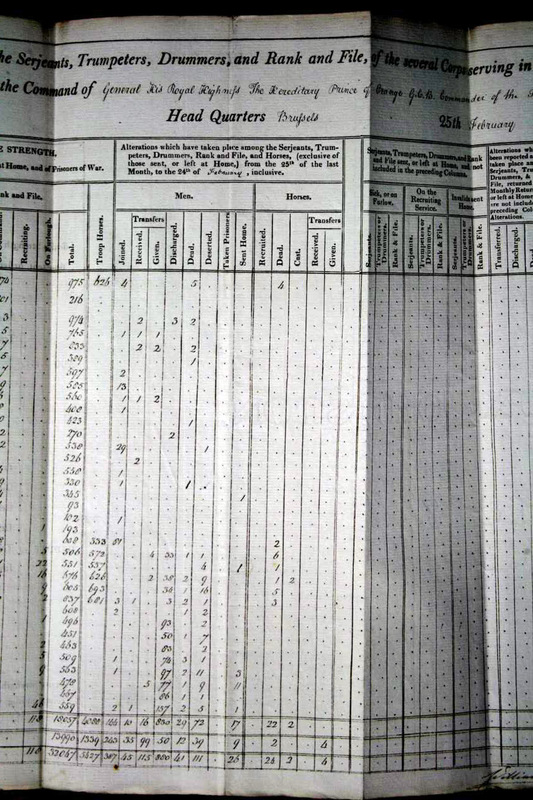 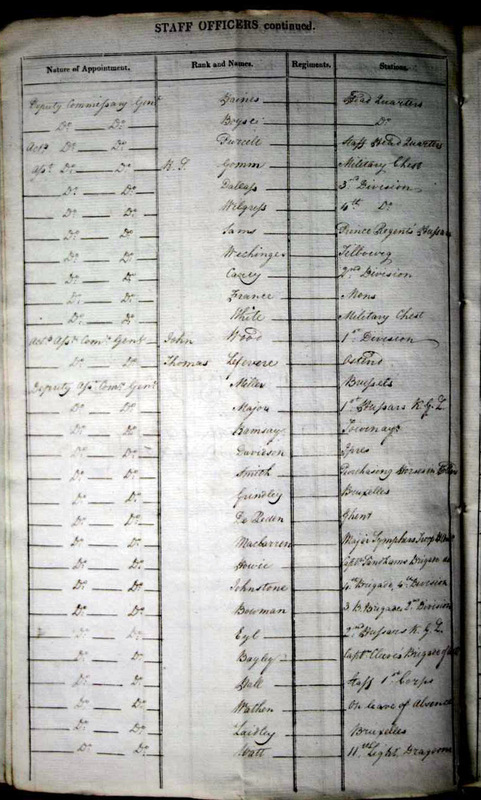 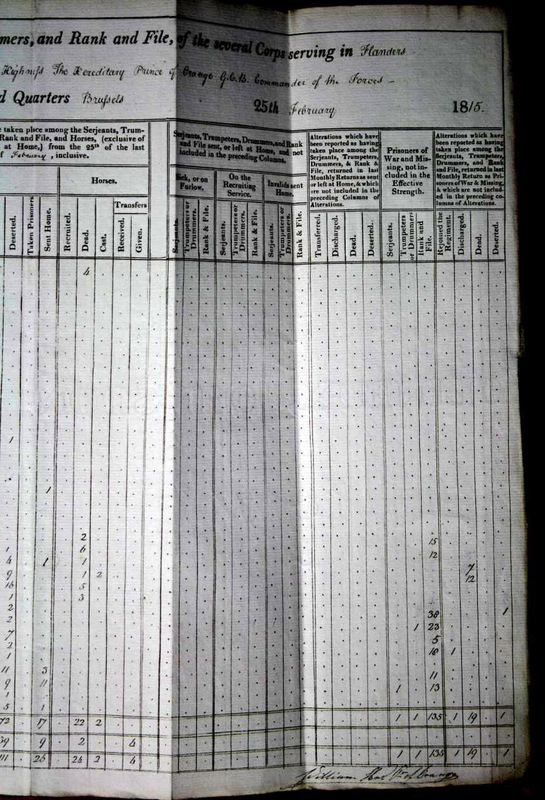 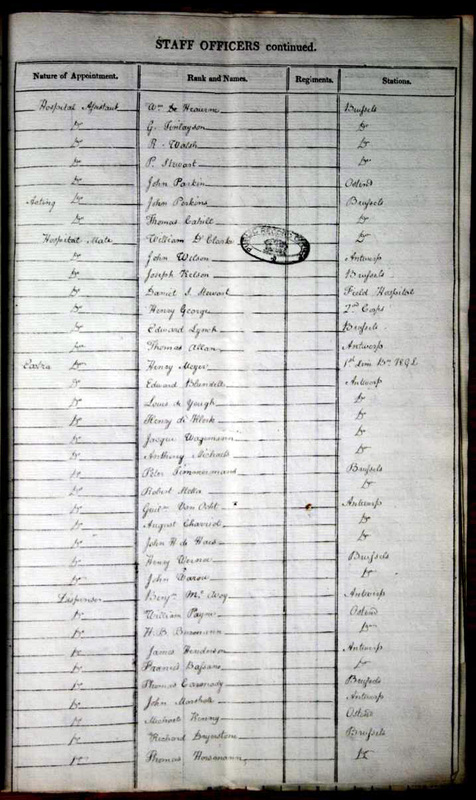 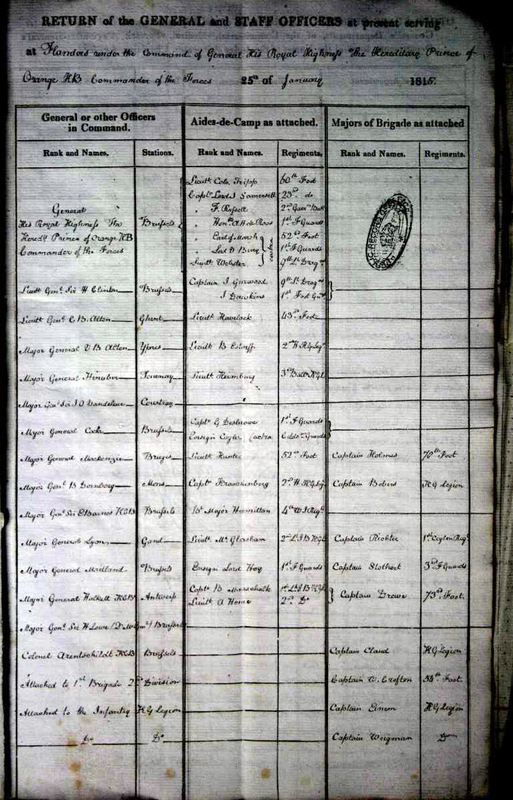 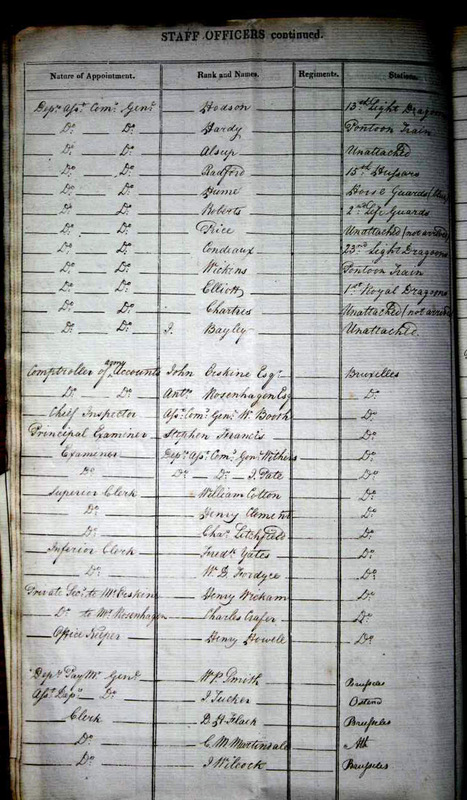 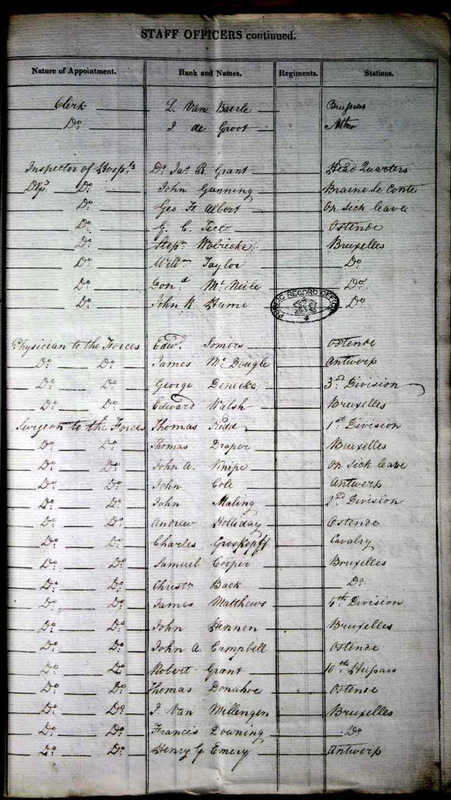 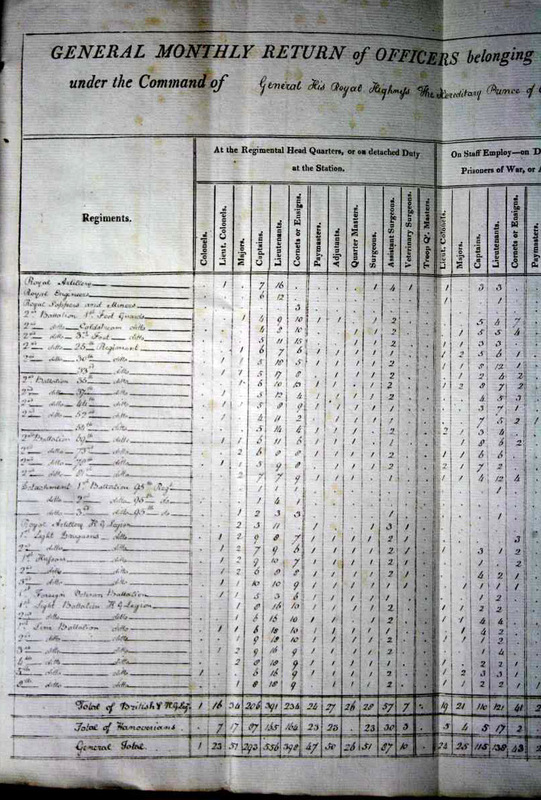 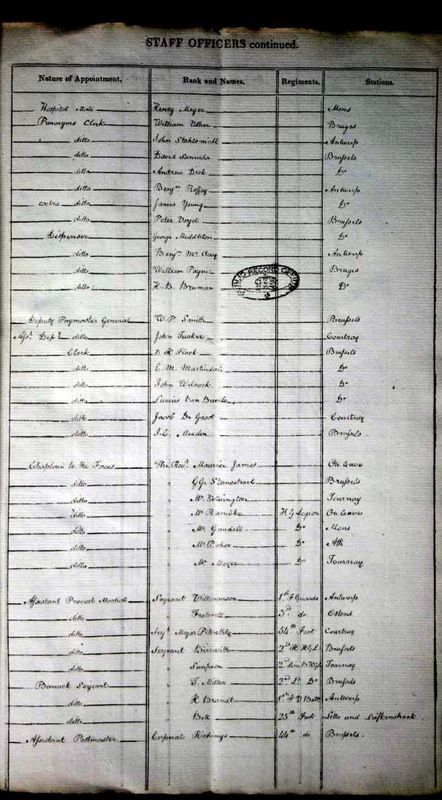 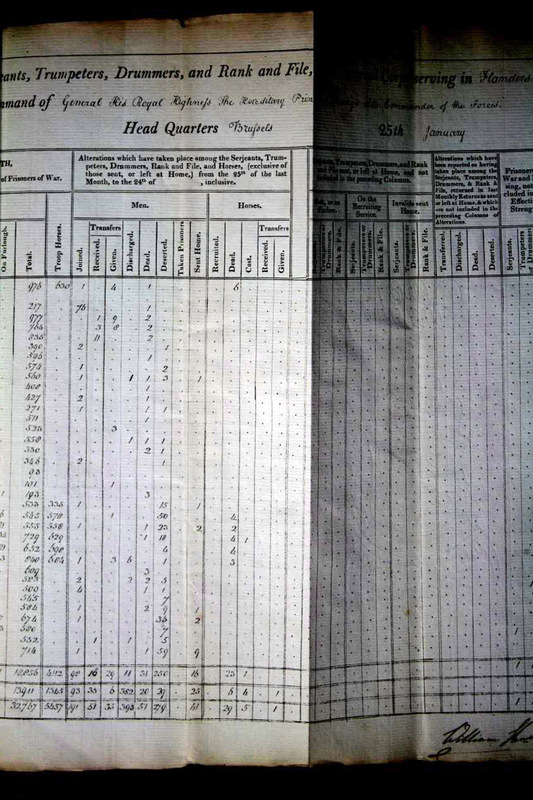 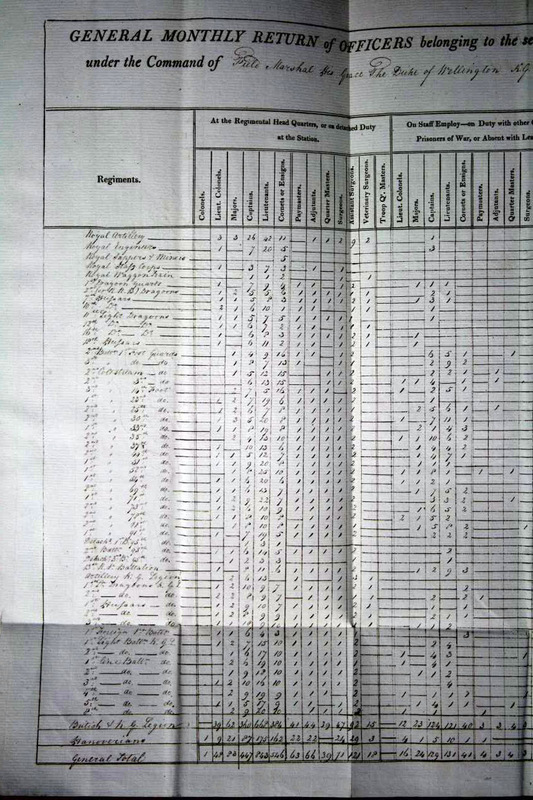 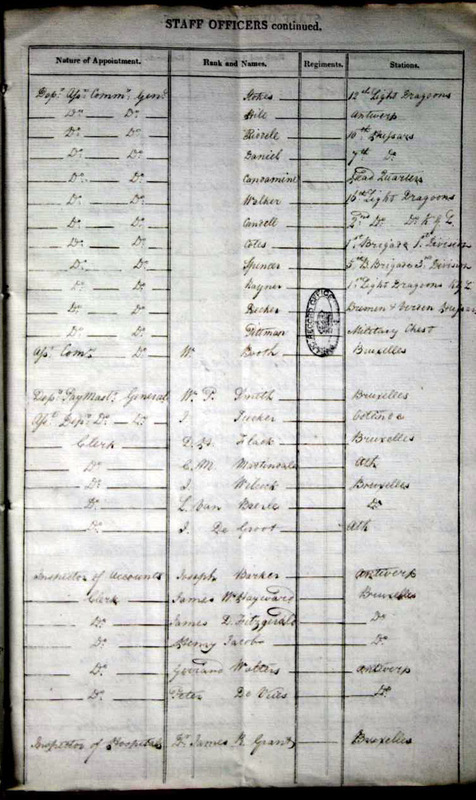 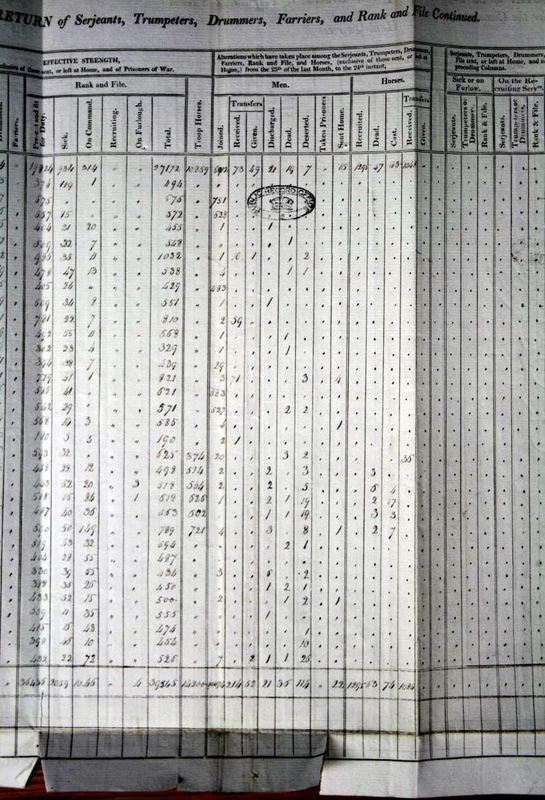 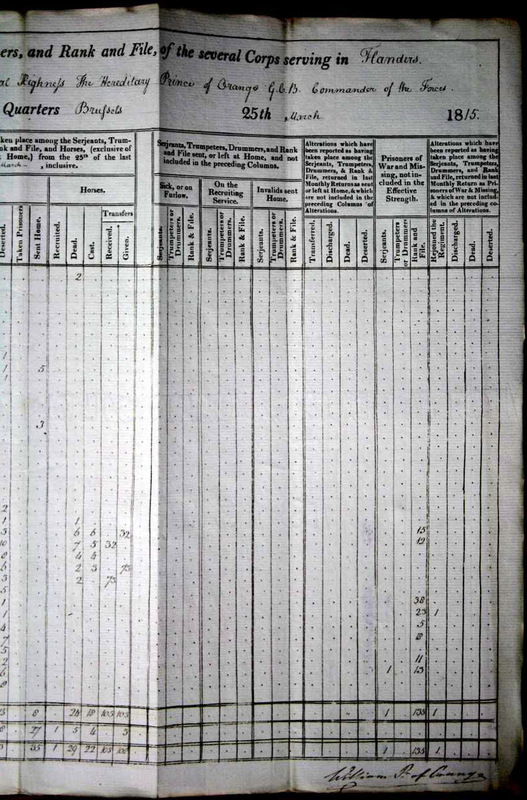 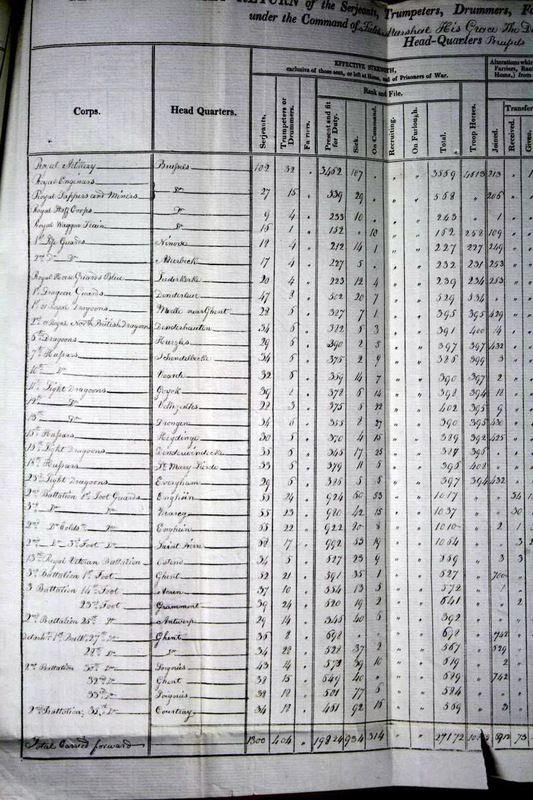 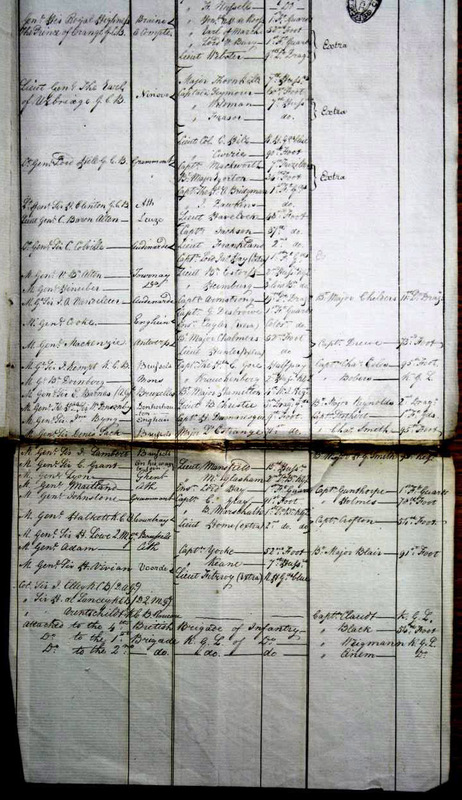 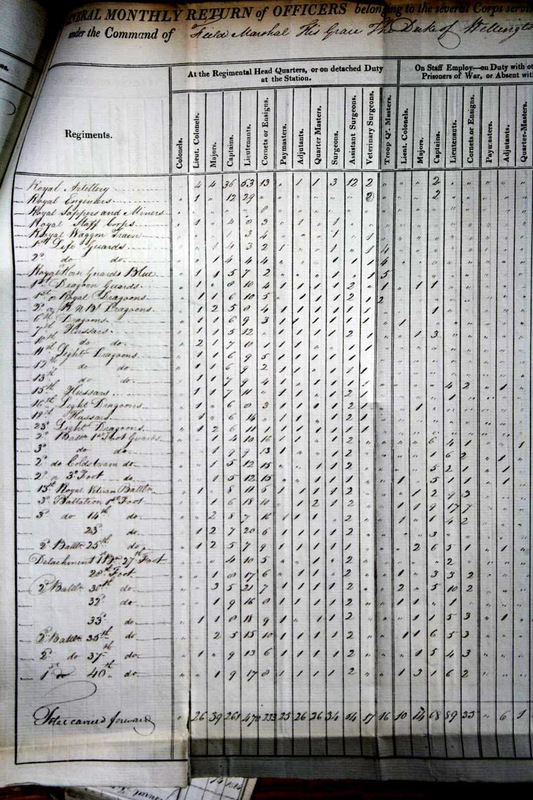 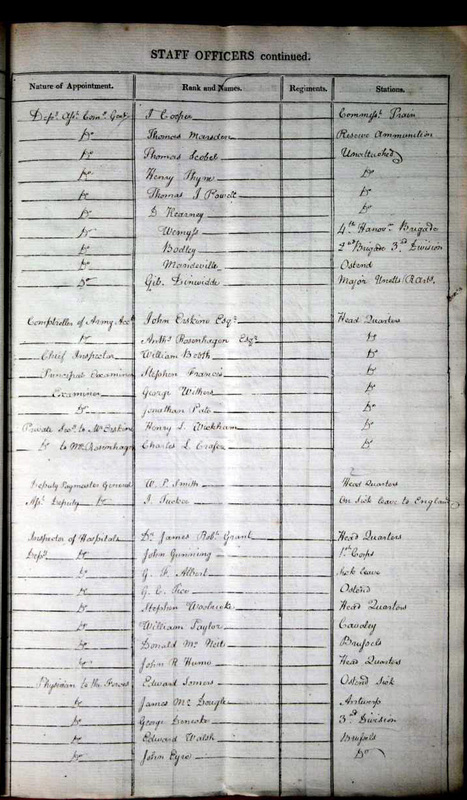 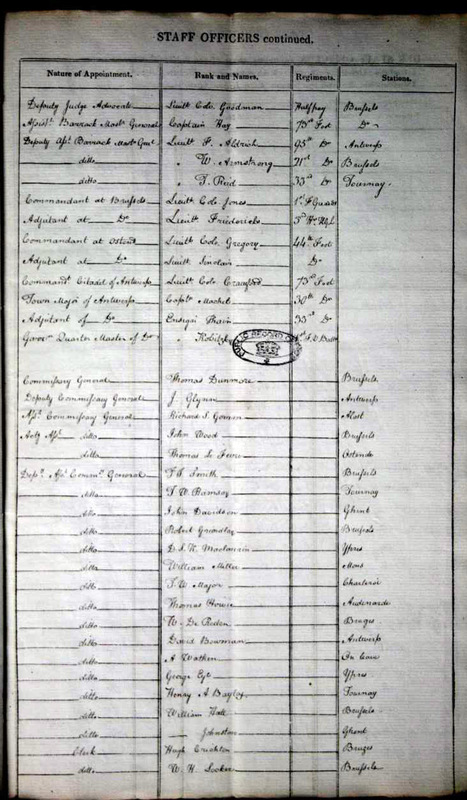 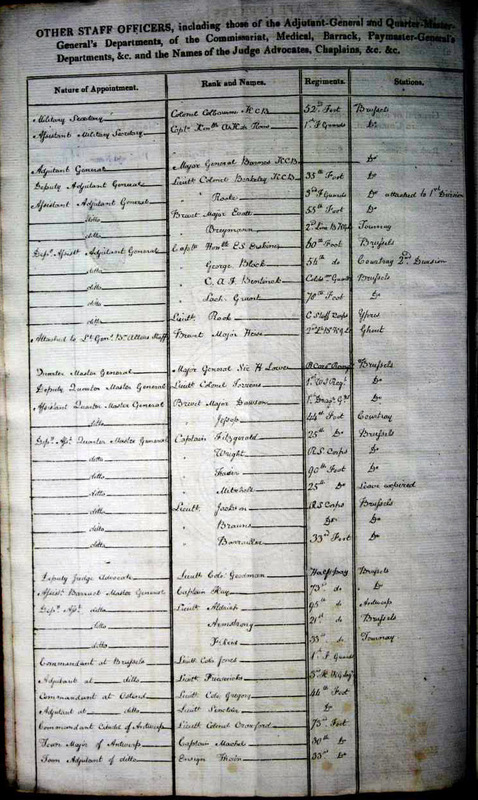 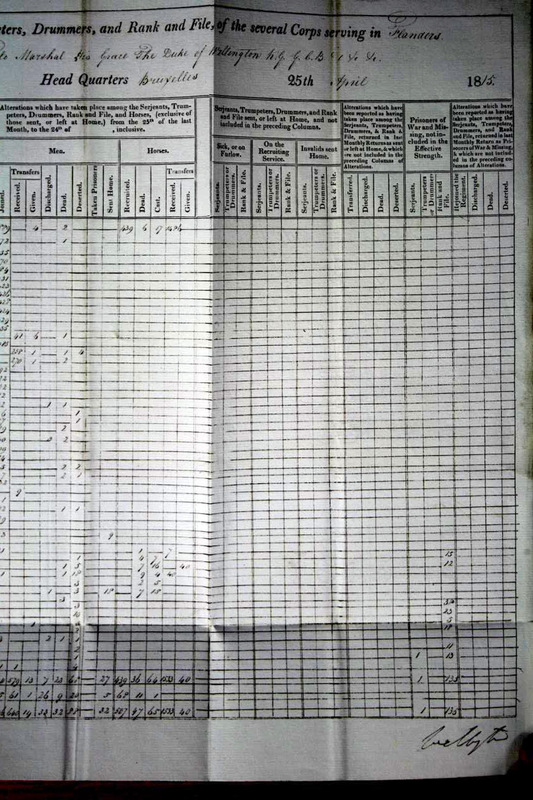 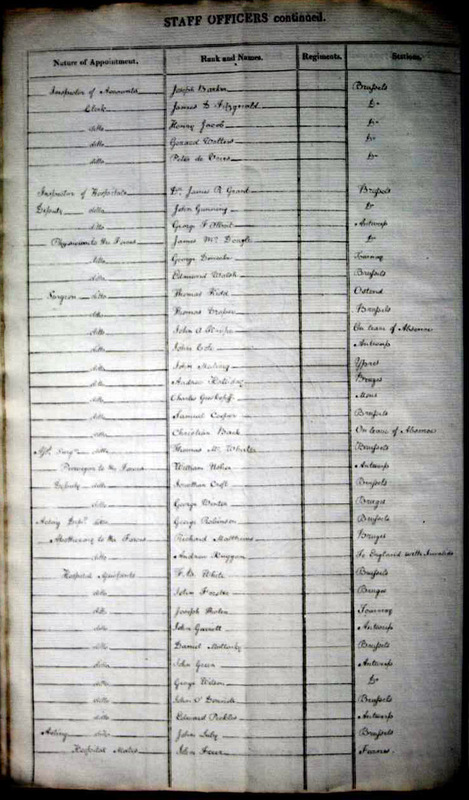 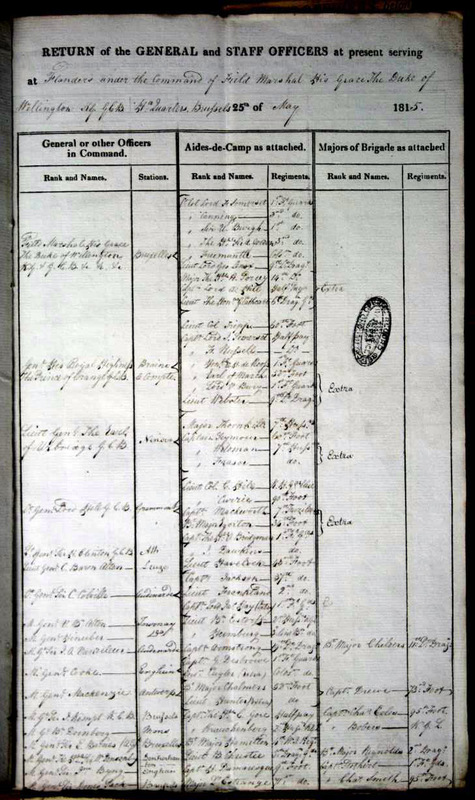 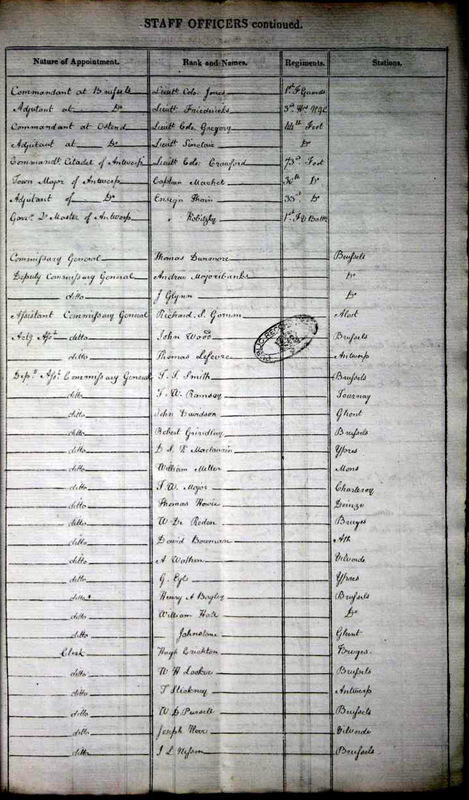 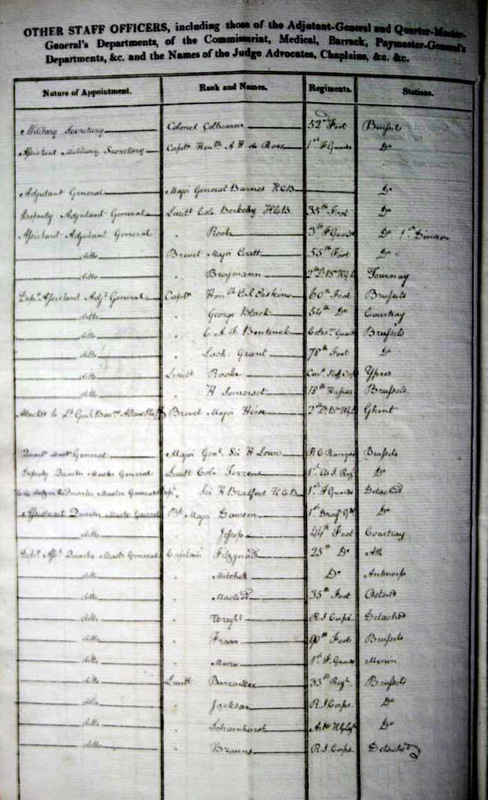 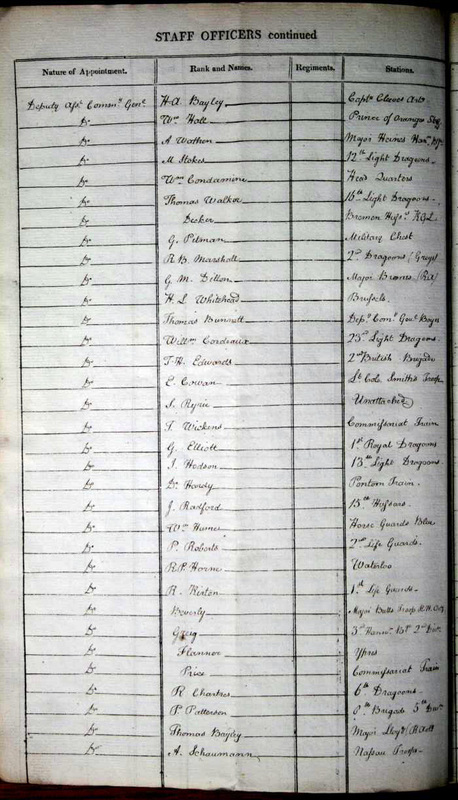 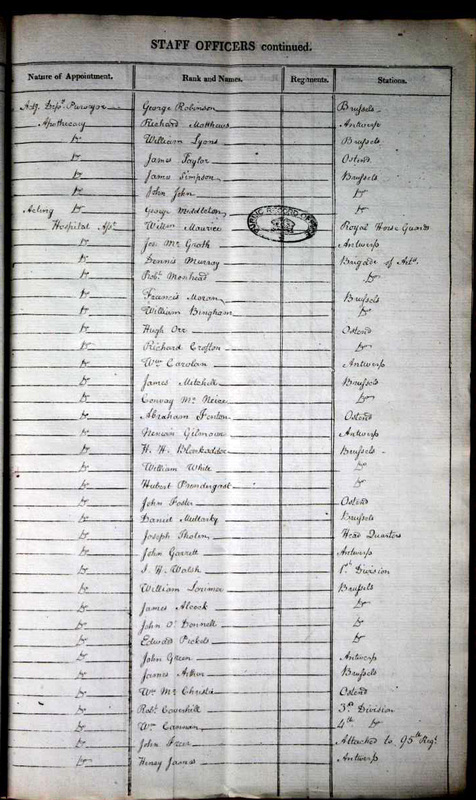 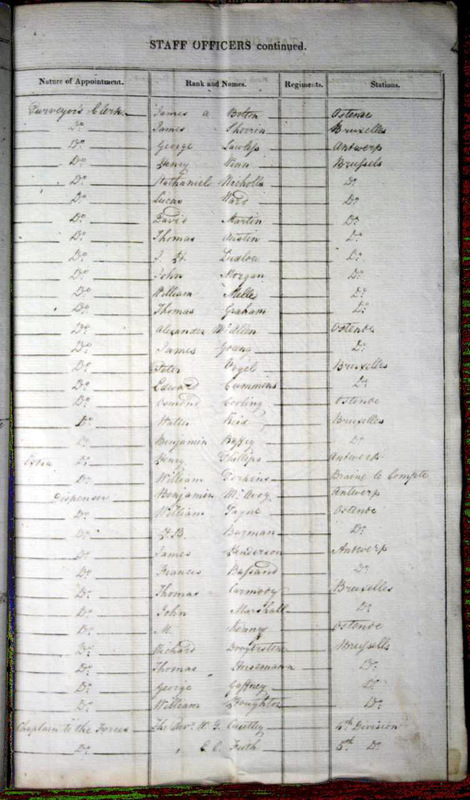 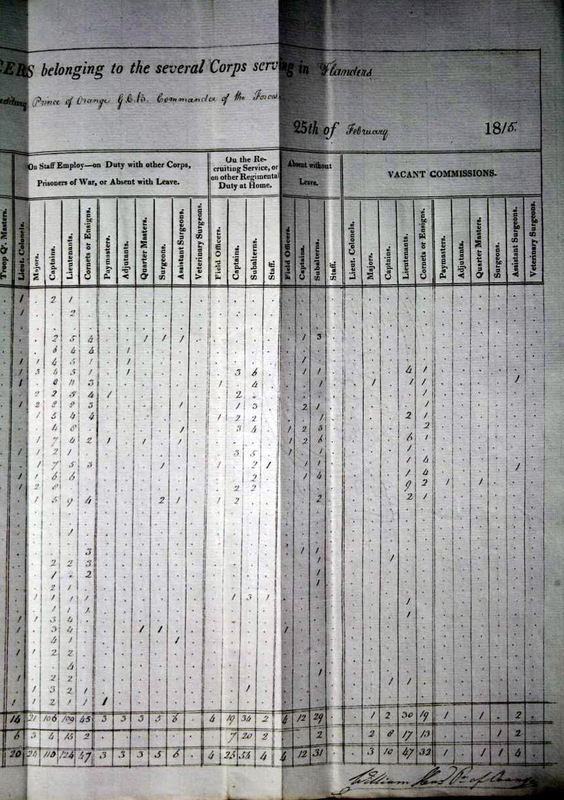 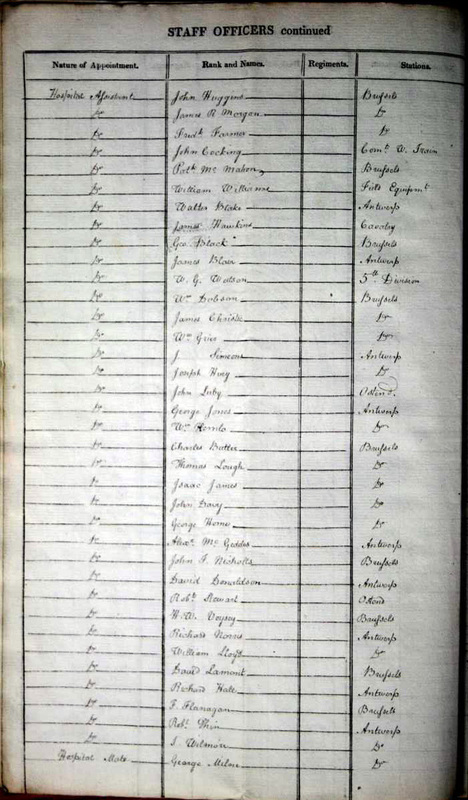 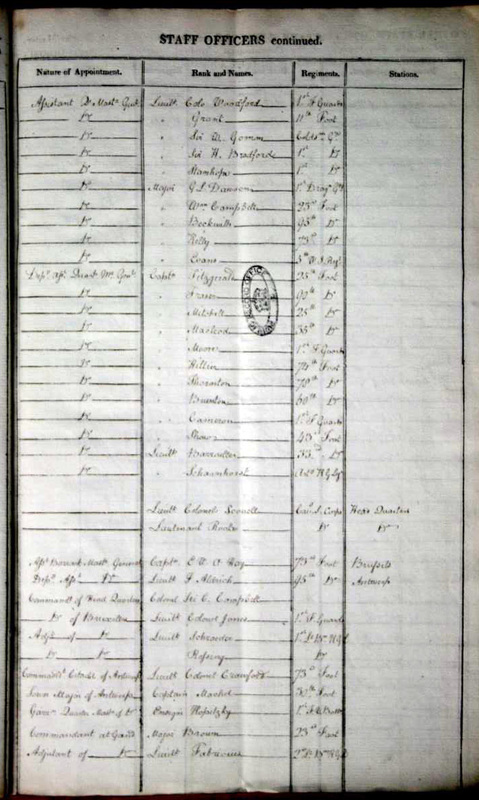 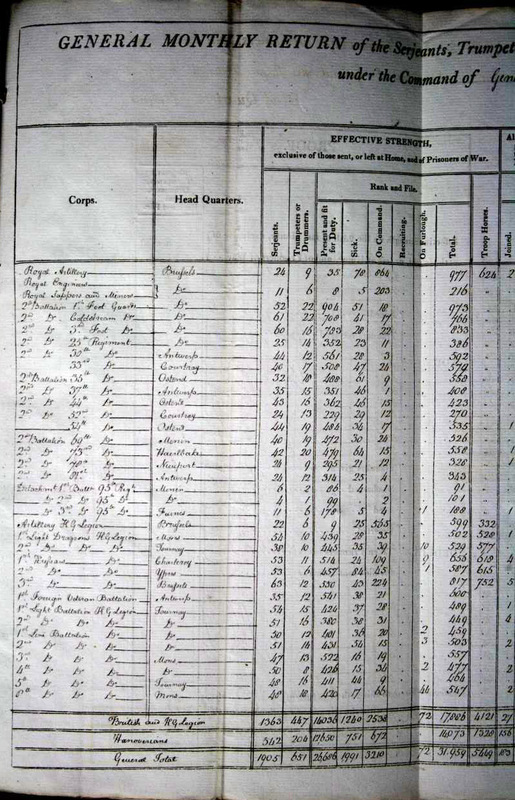 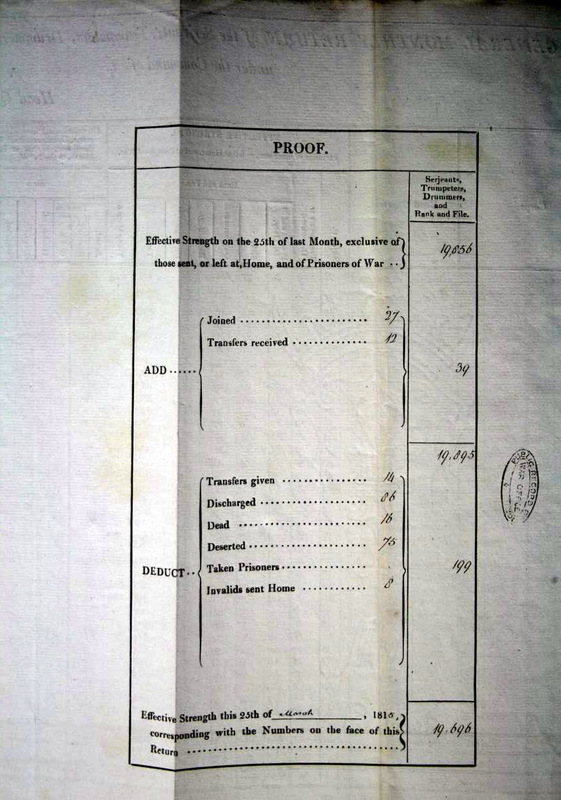 In addition to providing information on the battalions and regiments, the returns also lists every officer and civilian who was on the staff of the army. 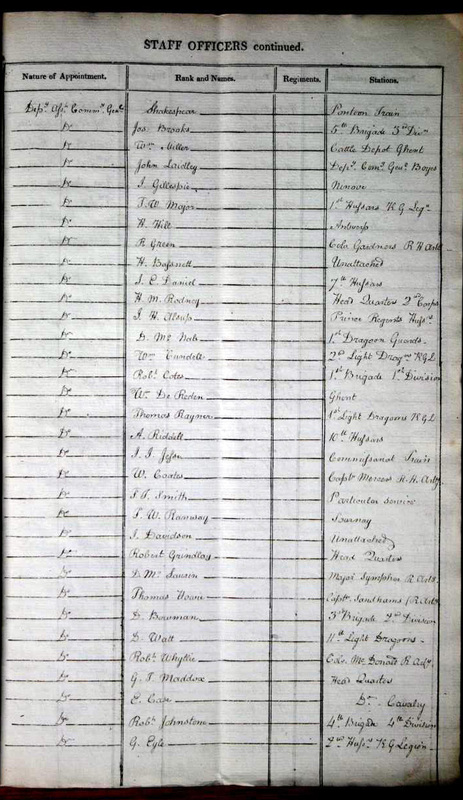 These included the general officers, their aides-de-camp, the officers assigned to the Adjutant General's Department, the Quartermaster General's Department, and the civilians Commissary General's Department. 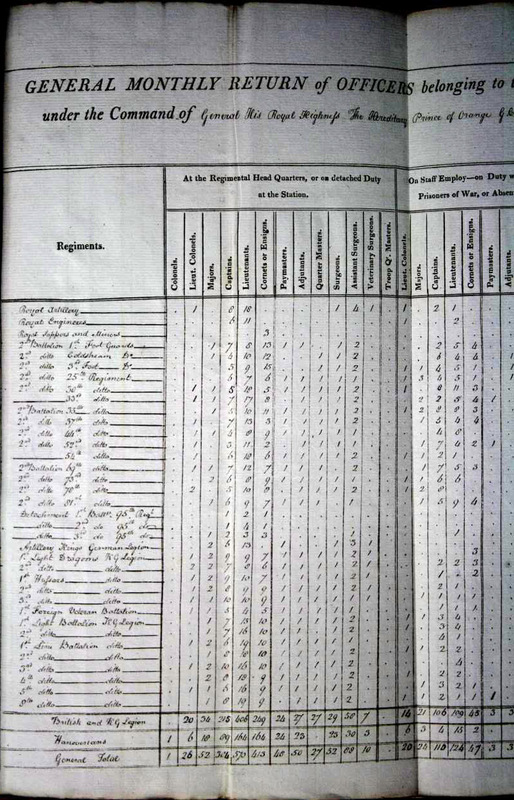 The researcher can use the returns to determine the staff structure of the army, from the brigade, division, corps, and army level. 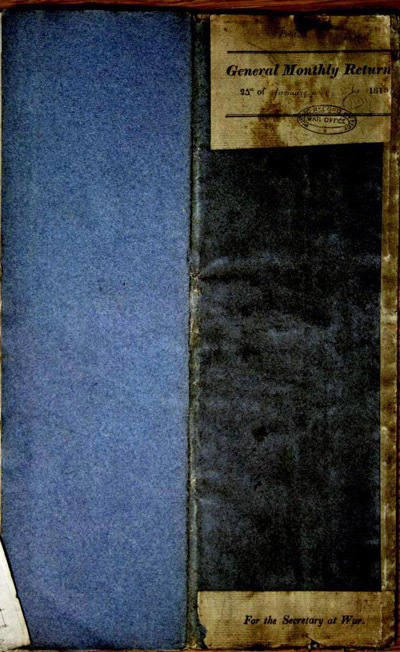 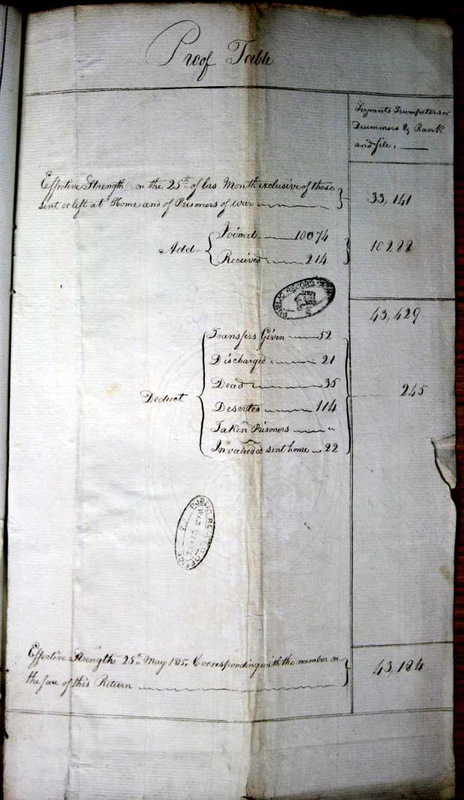 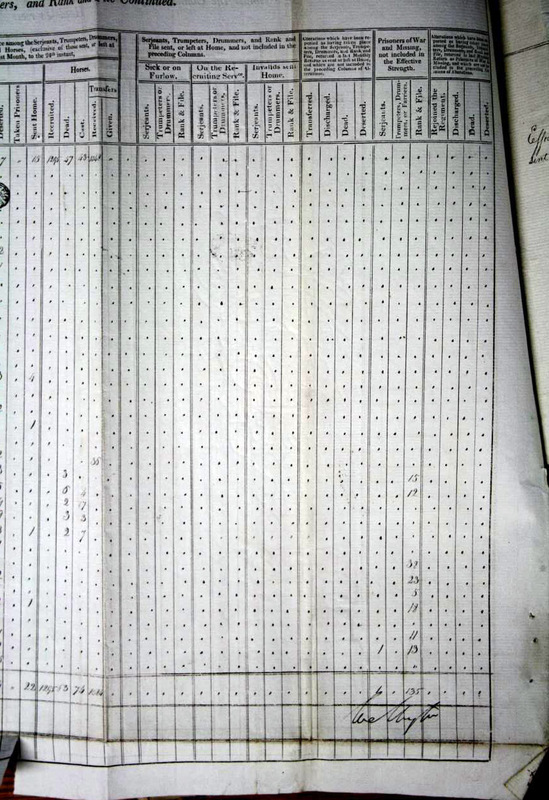 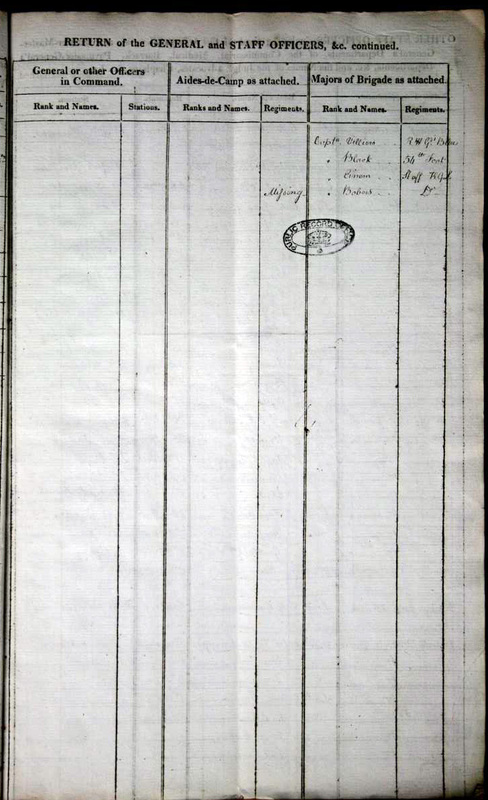 Editor's Note: within the turn the pages were quite large and often several images are needed for each page..